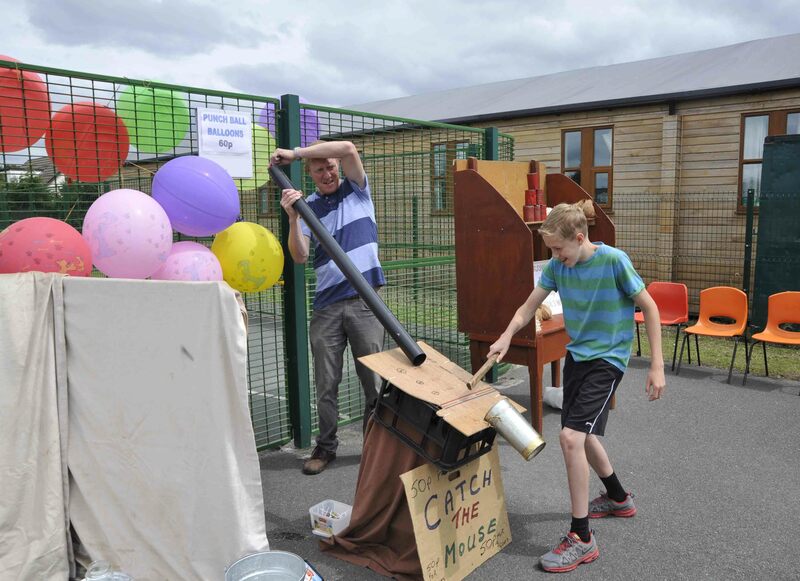 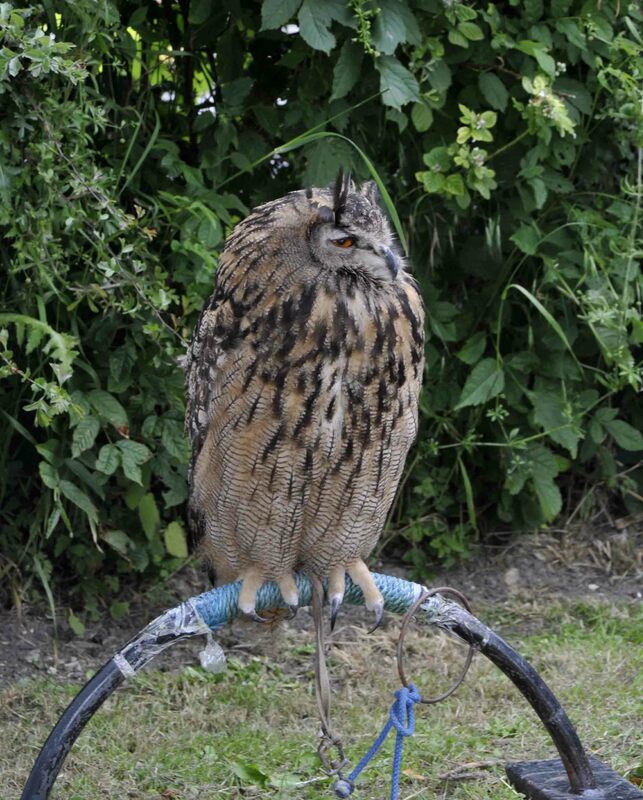 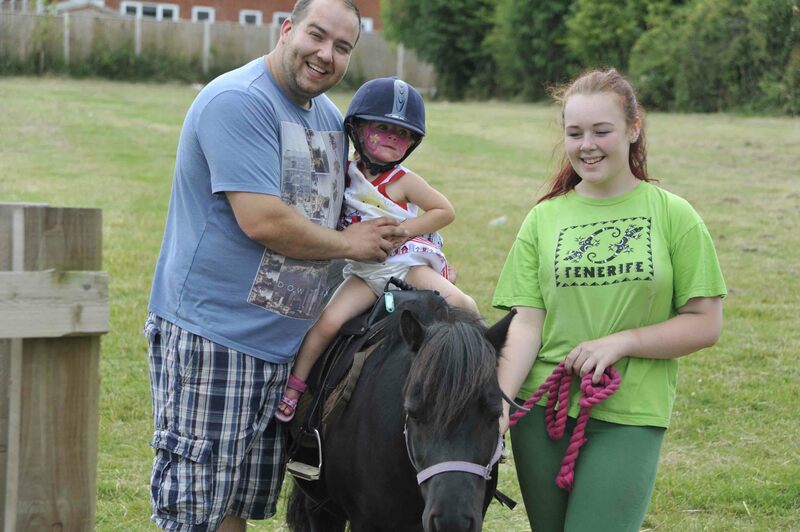 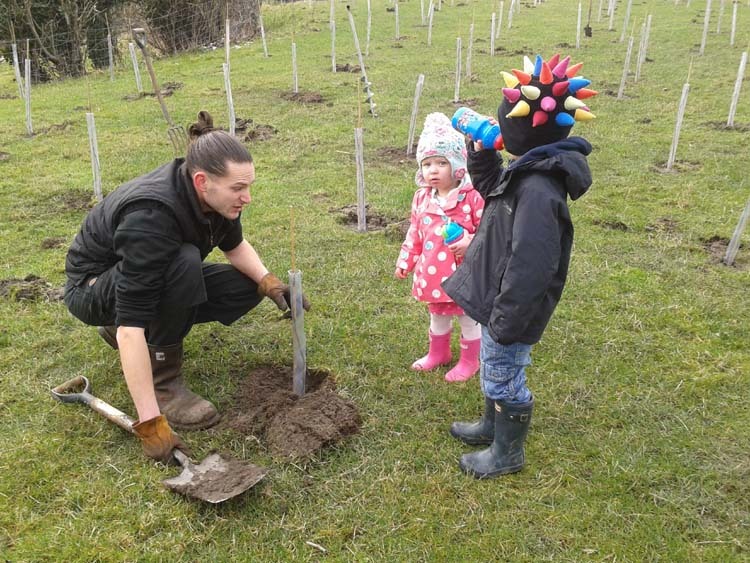 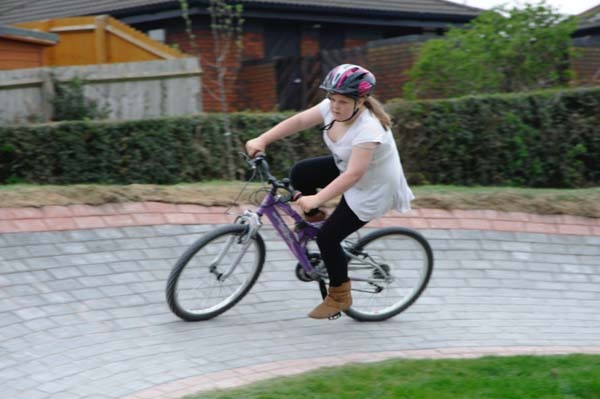 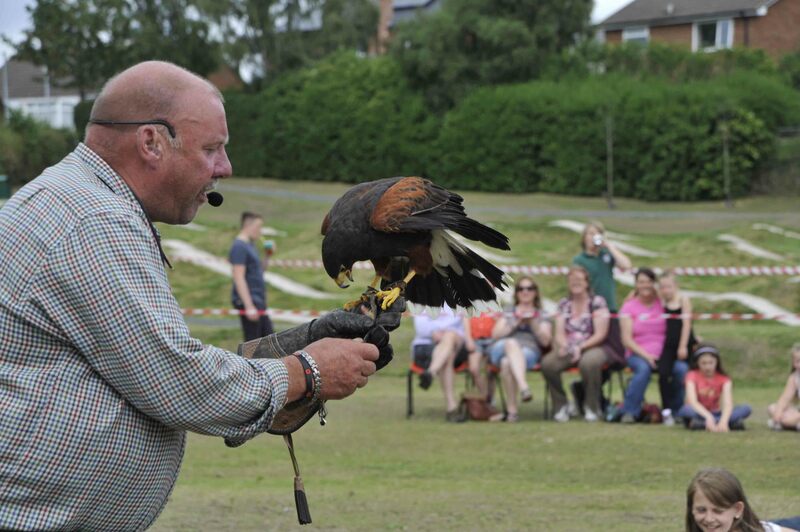 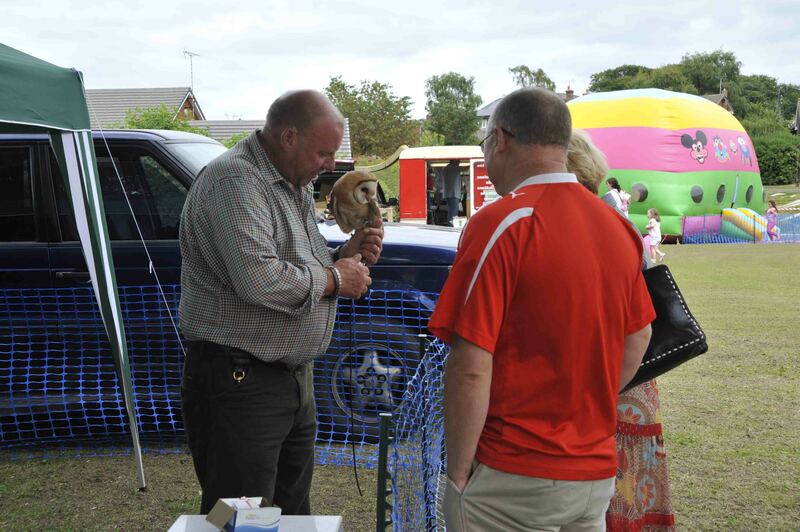 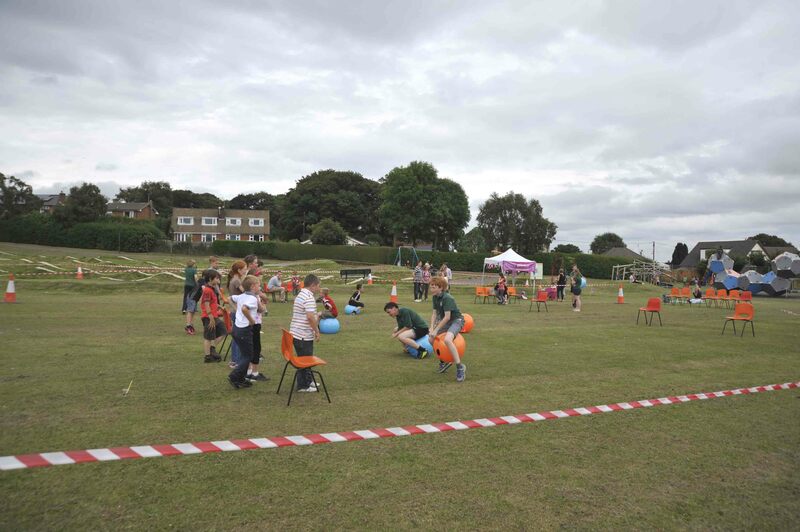 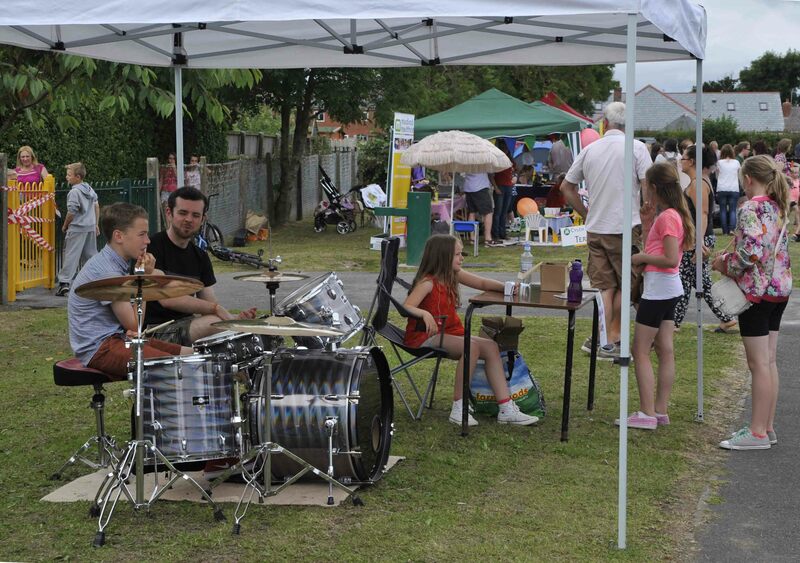 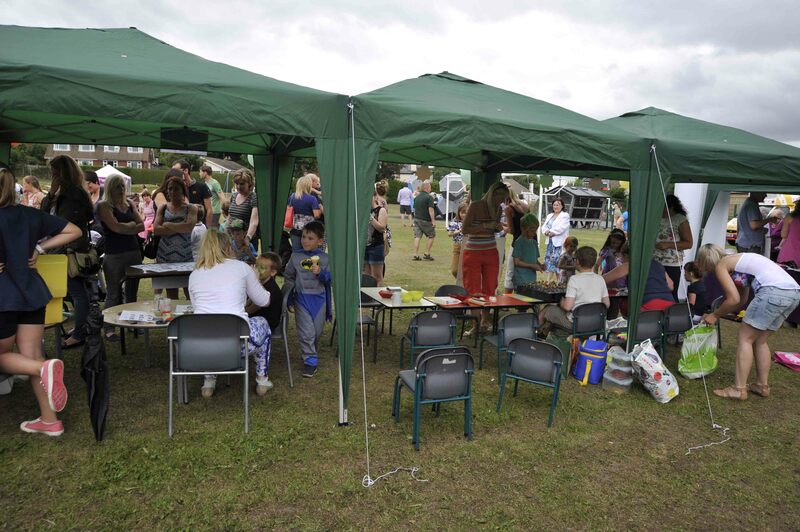 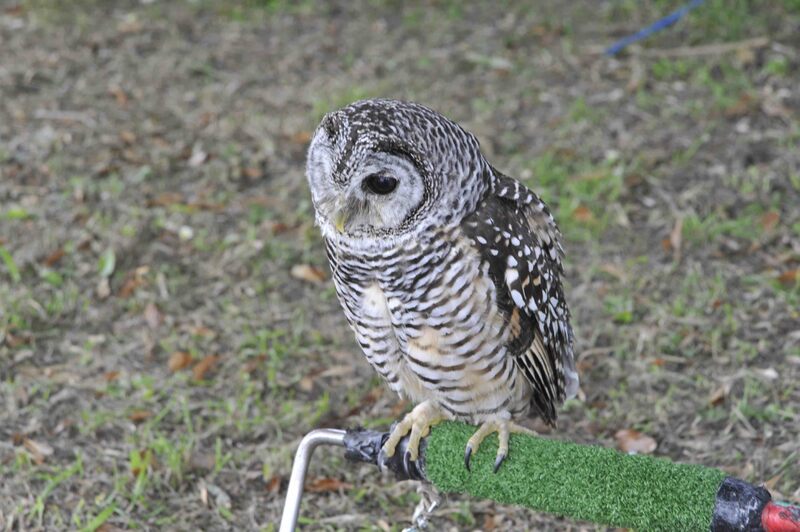 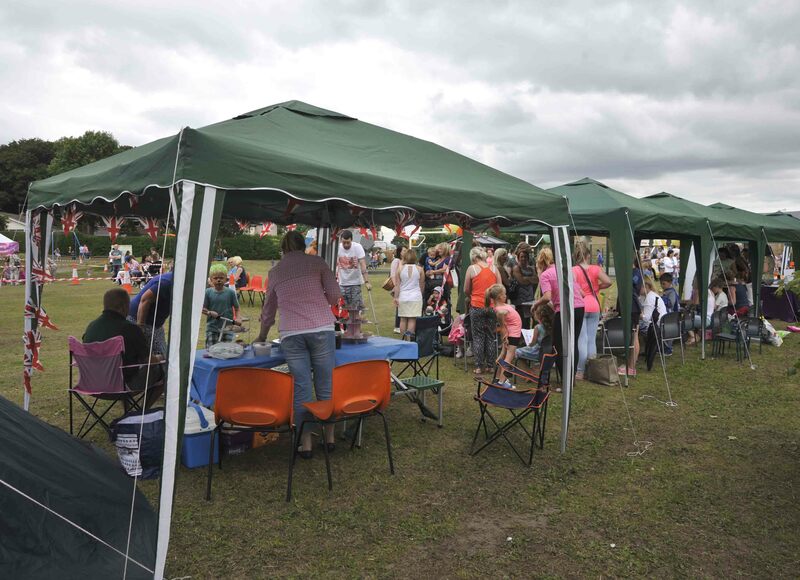 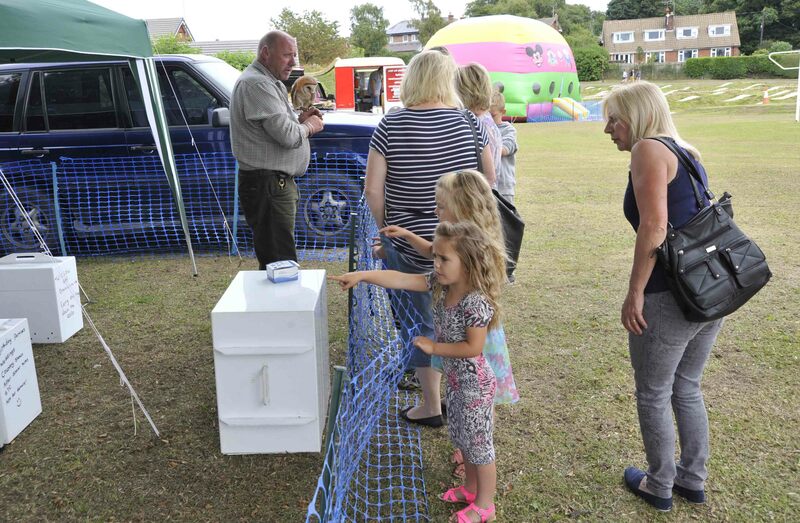 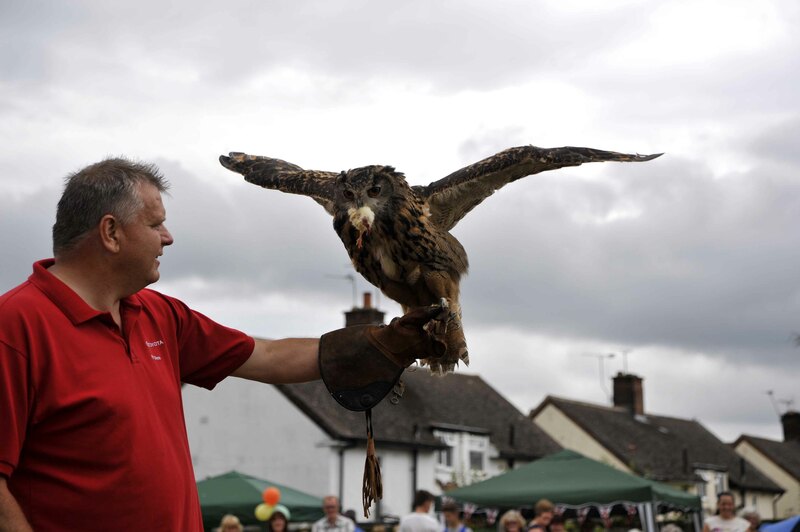 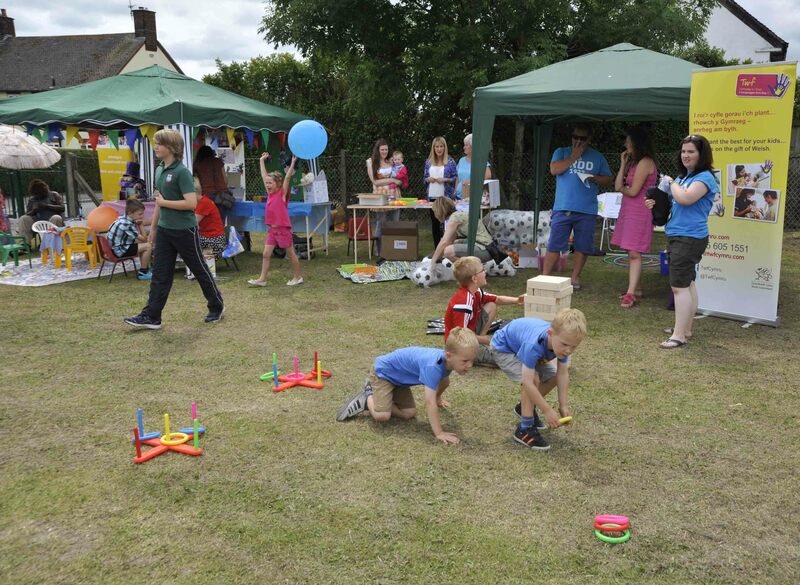 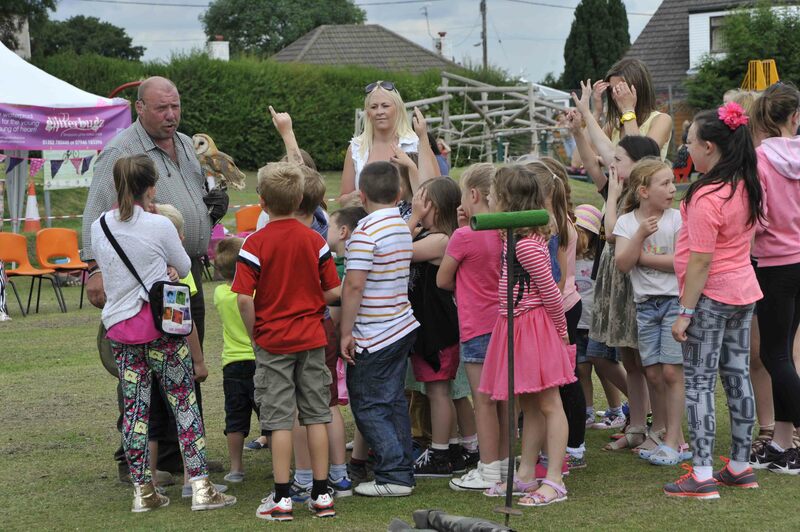 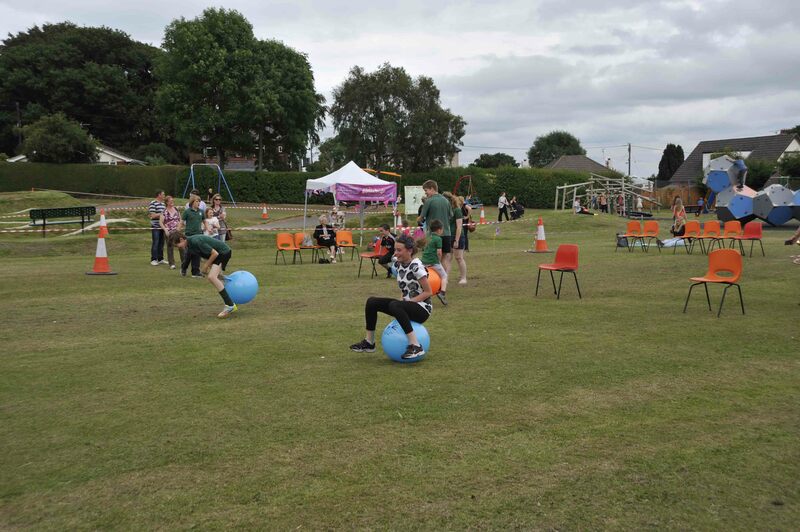 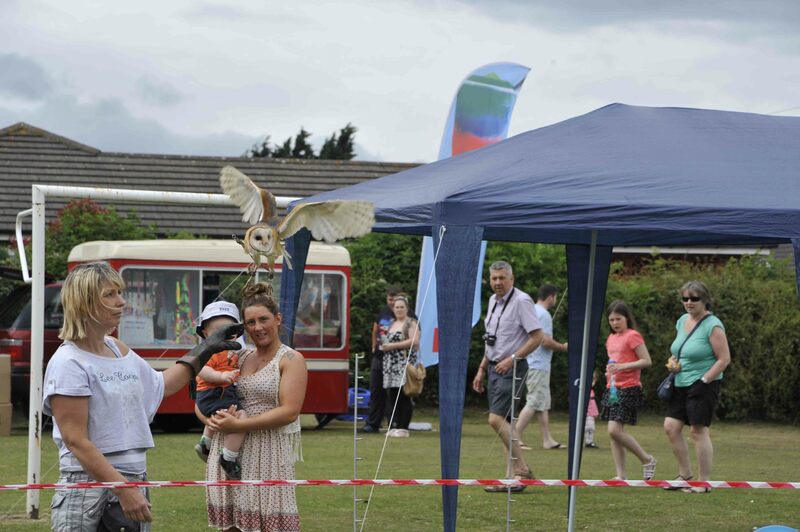 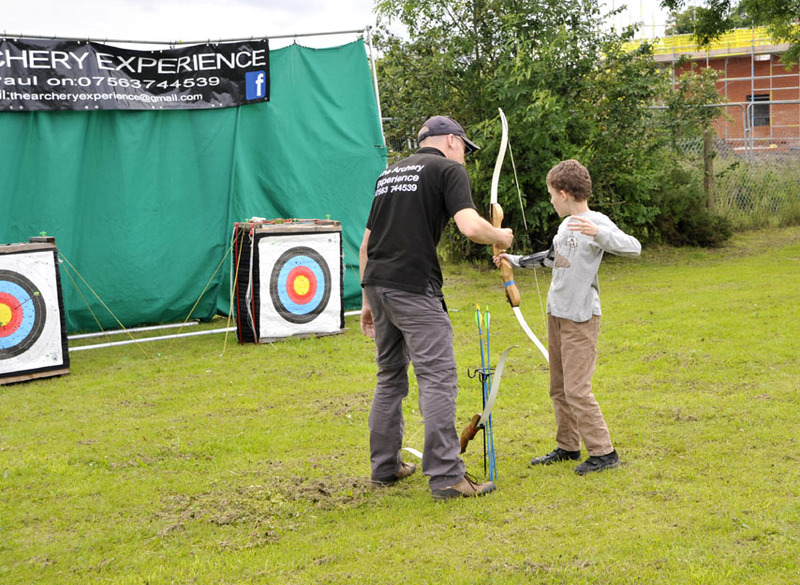 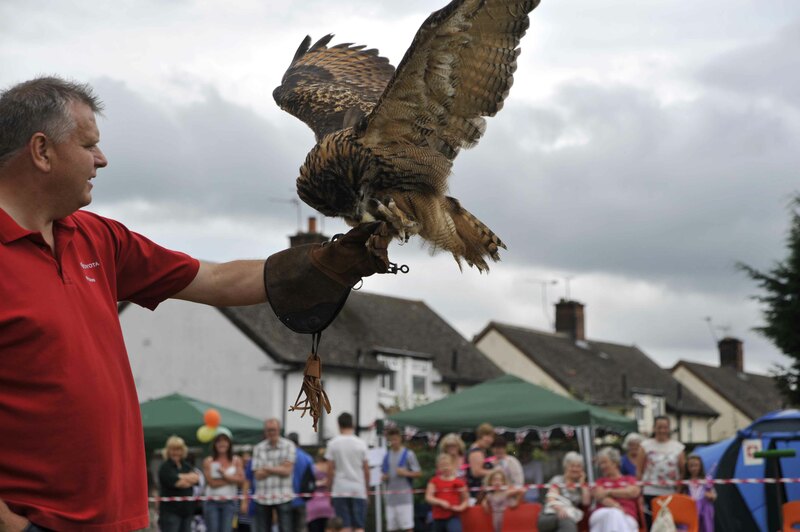 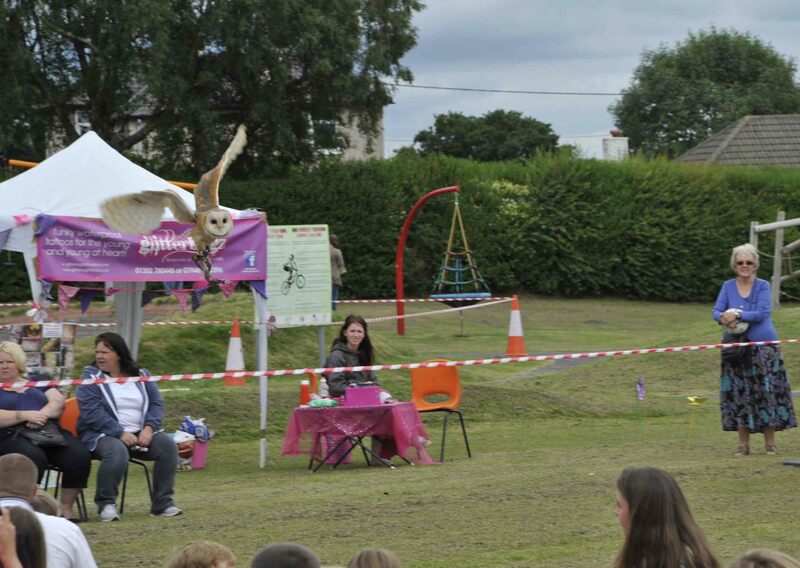 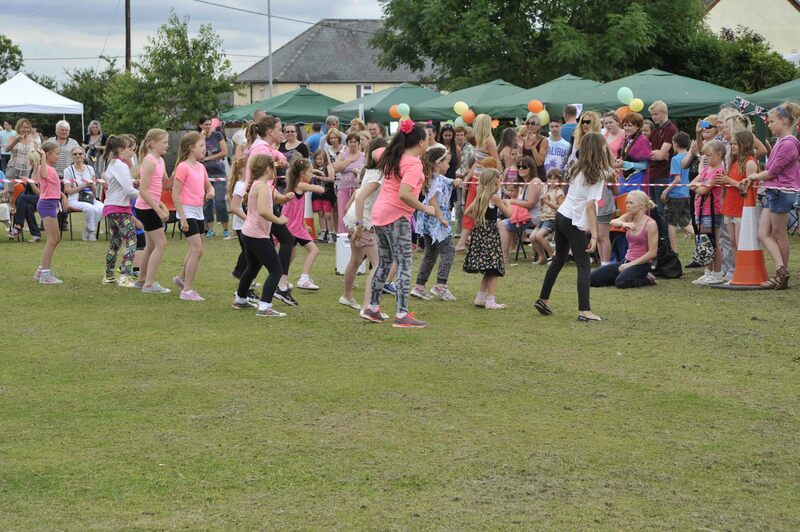 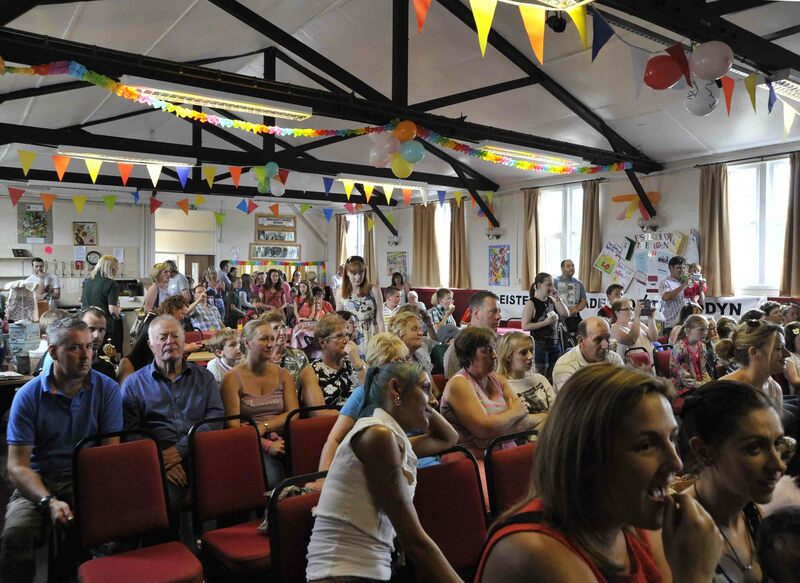 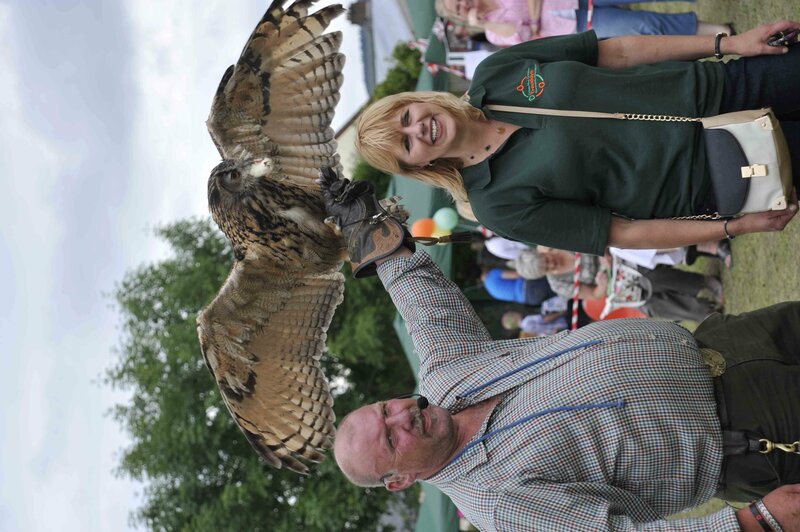 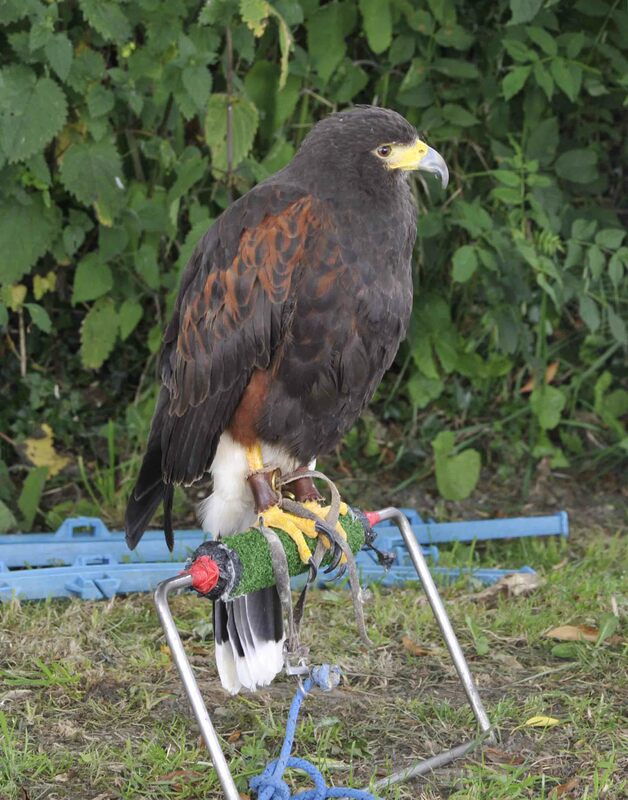 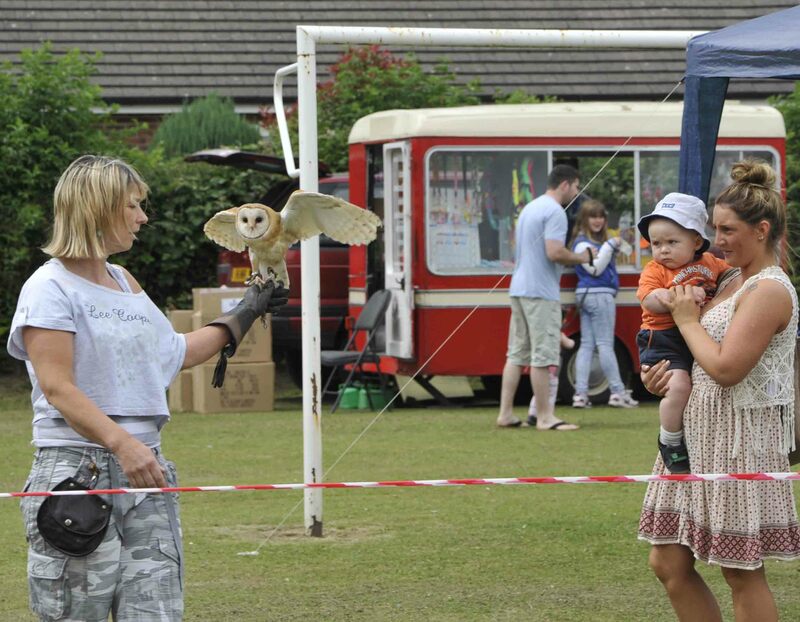 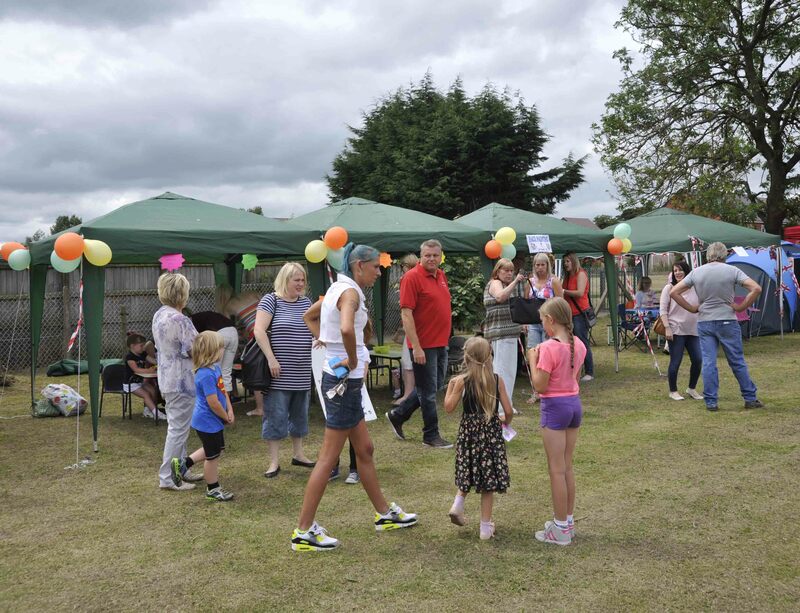 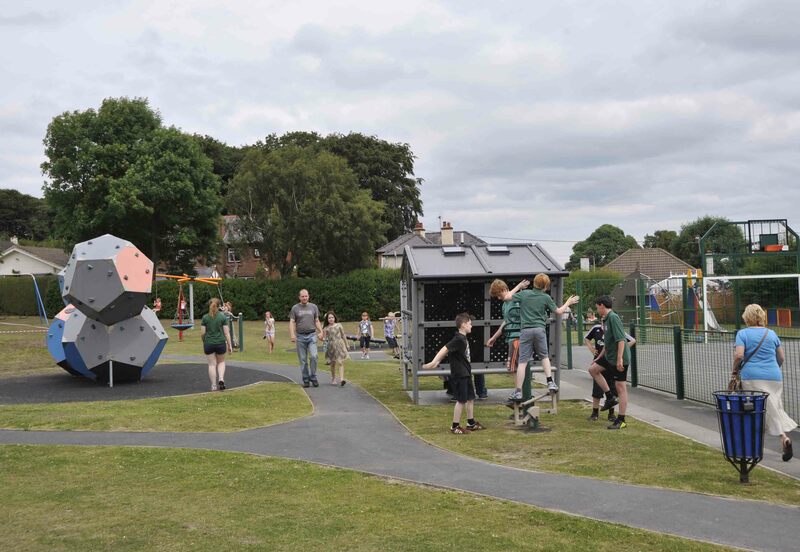 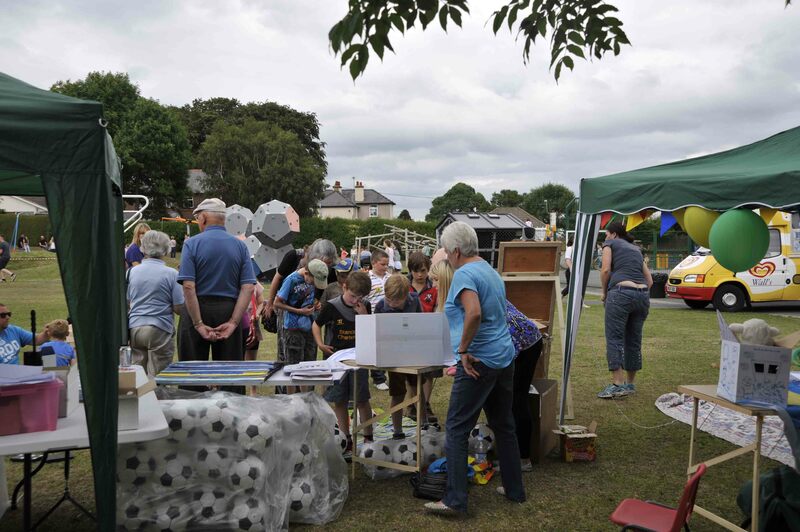 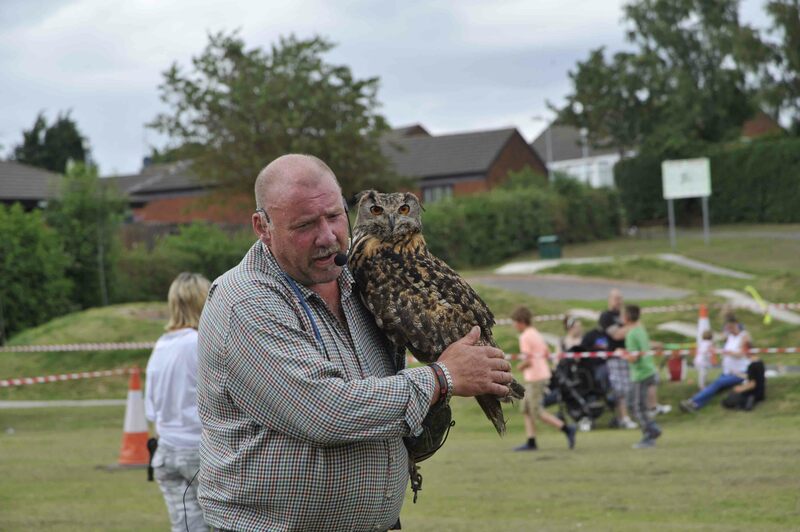 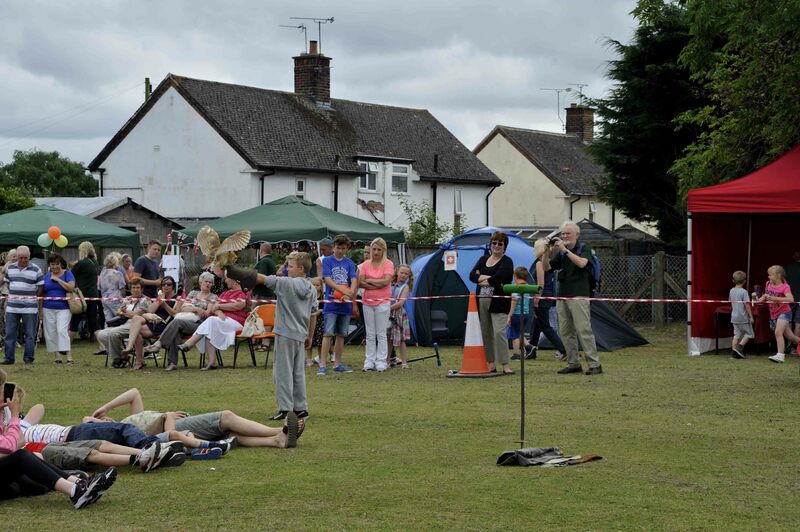 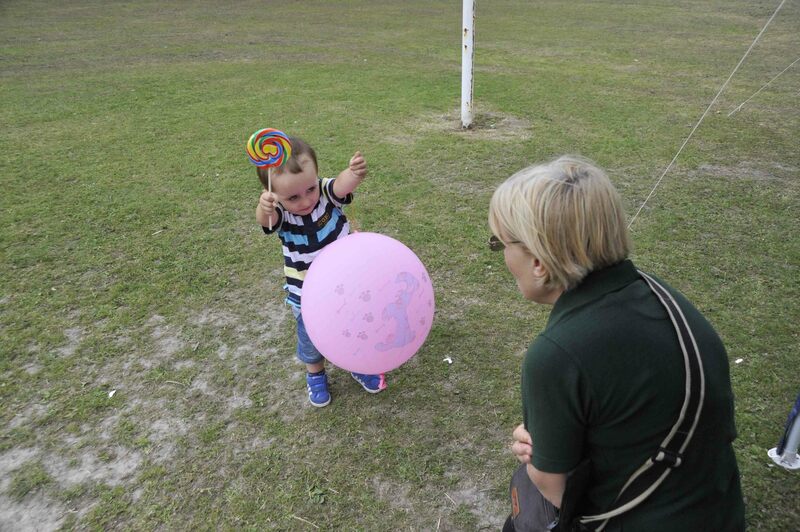 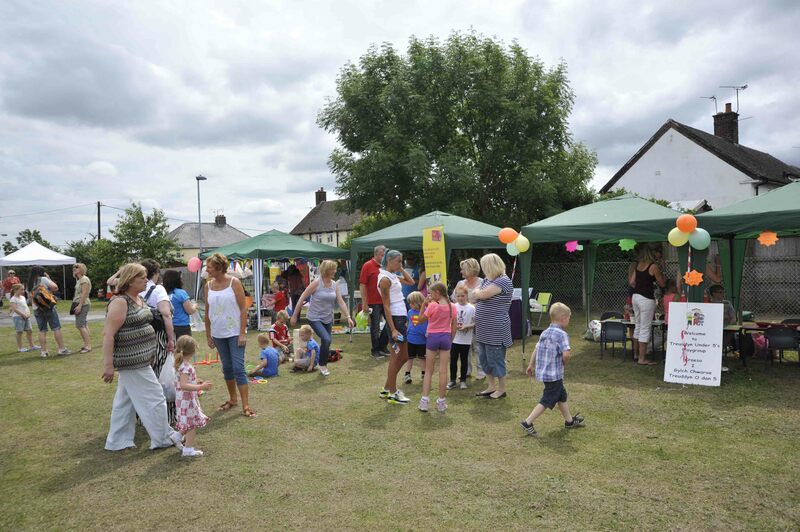 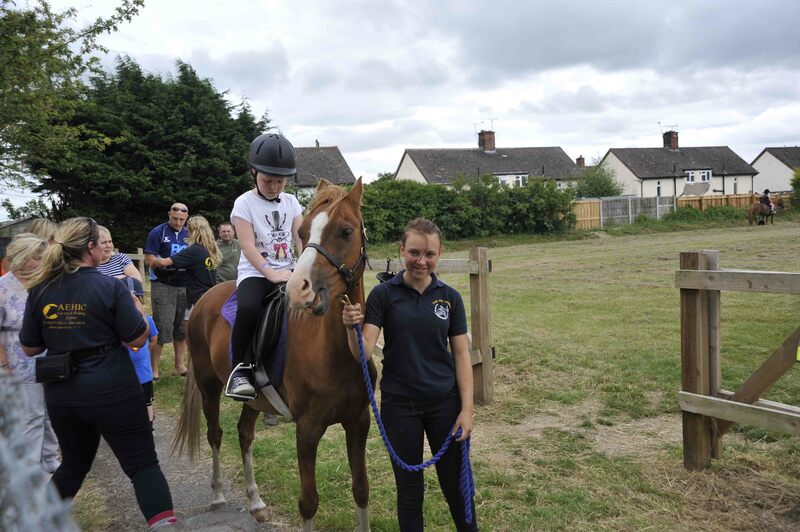 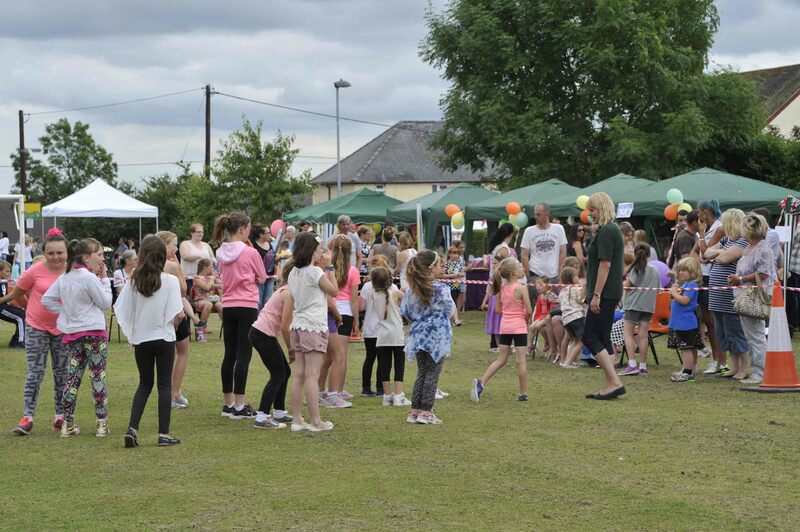 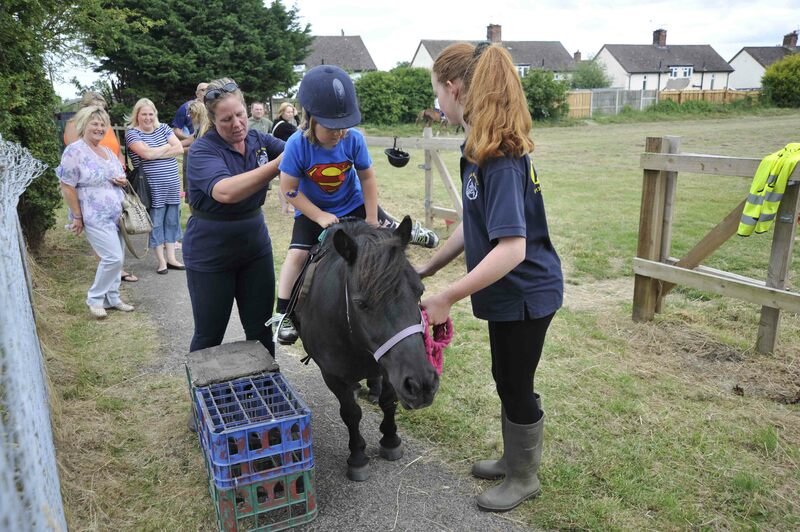 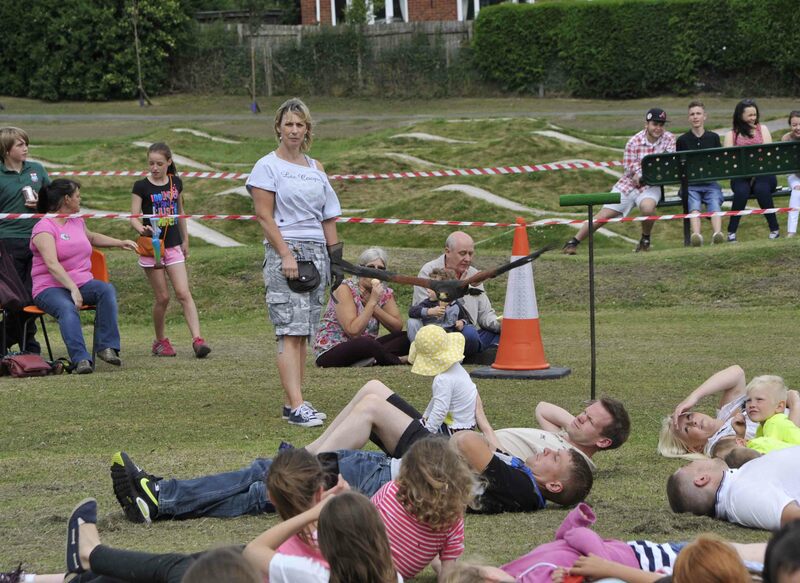 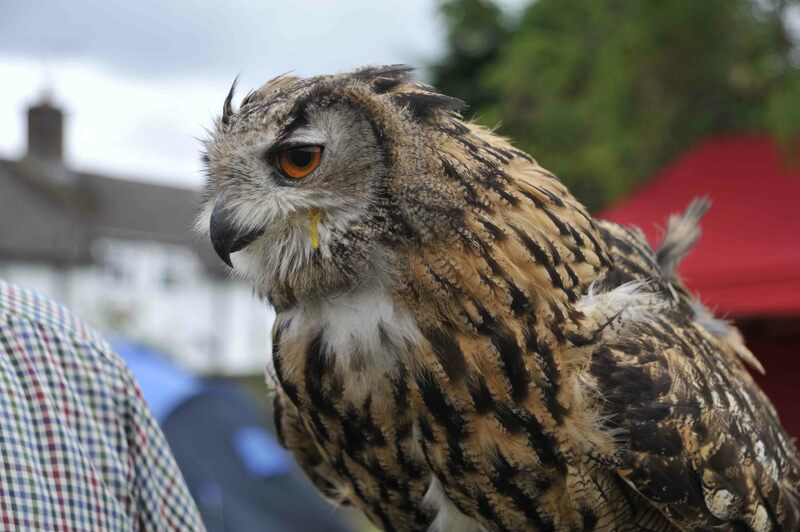 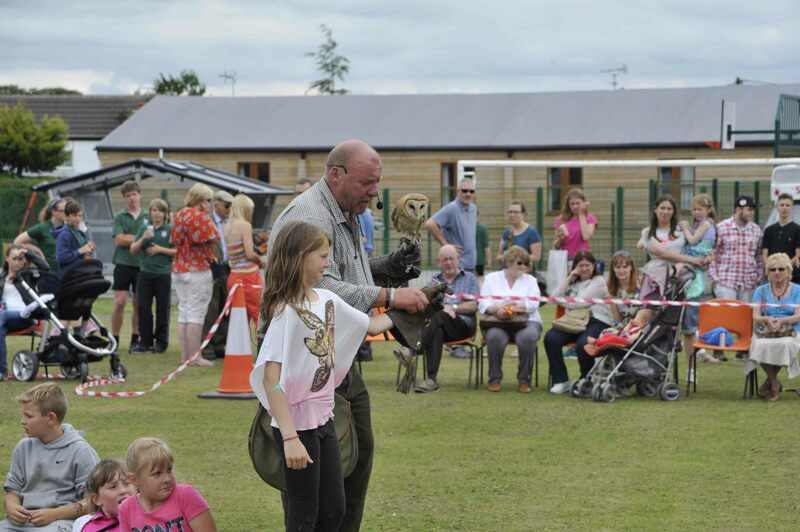 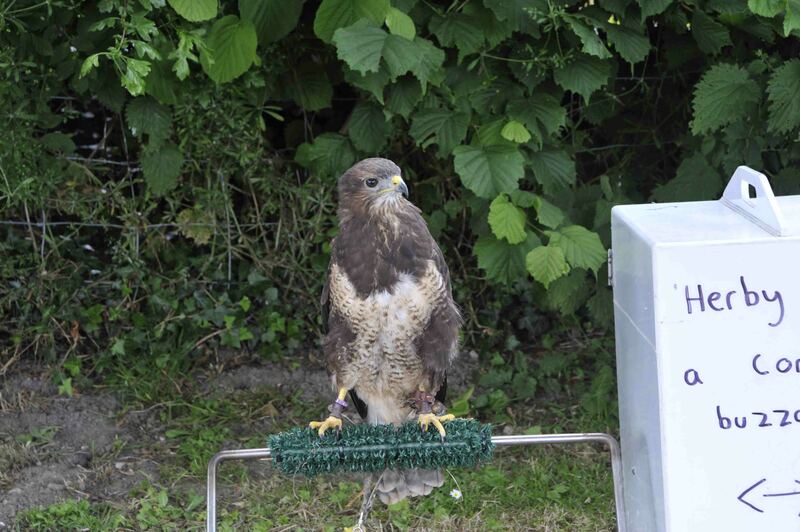 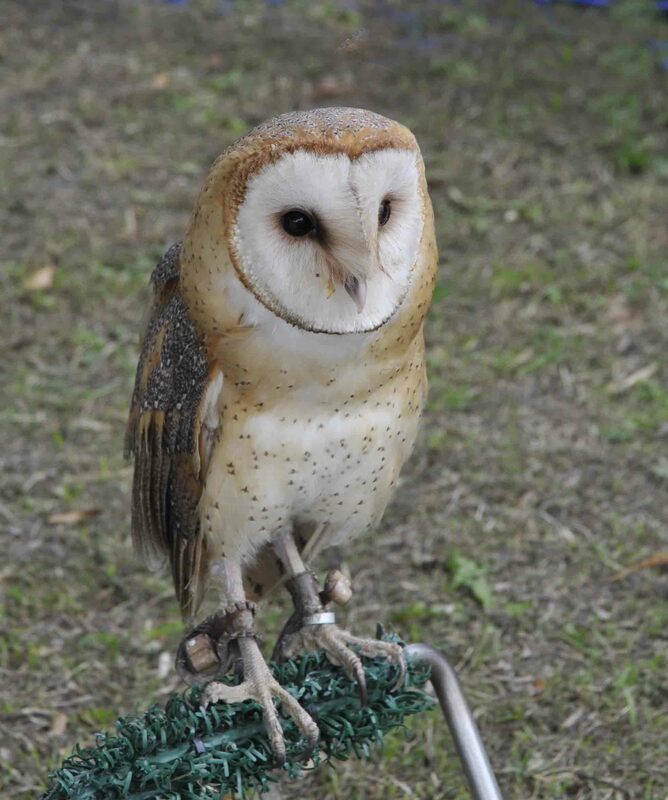 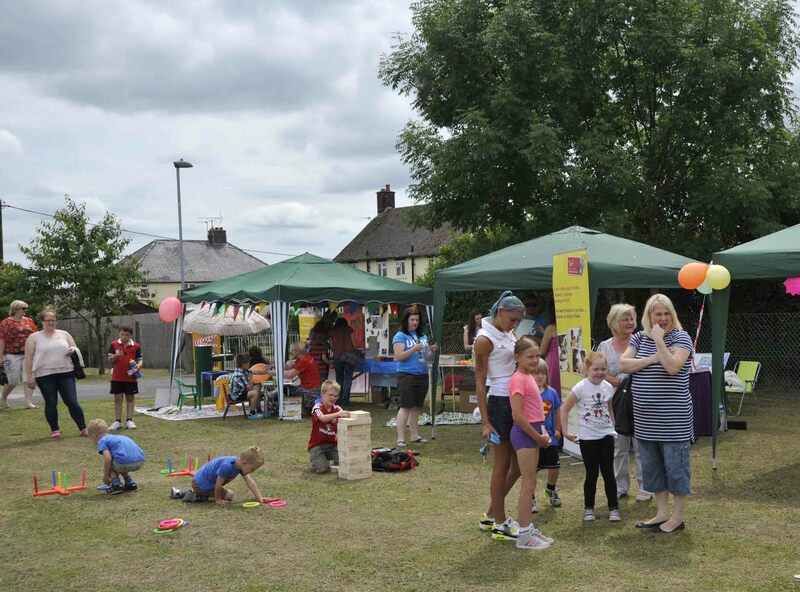 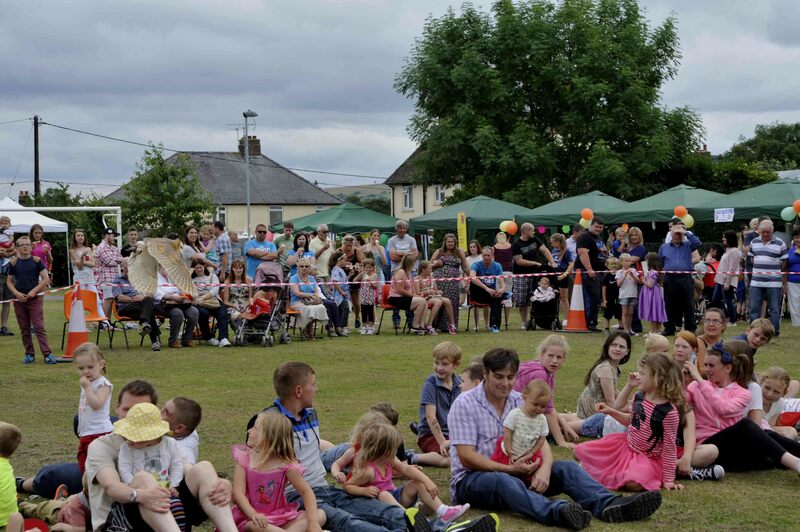 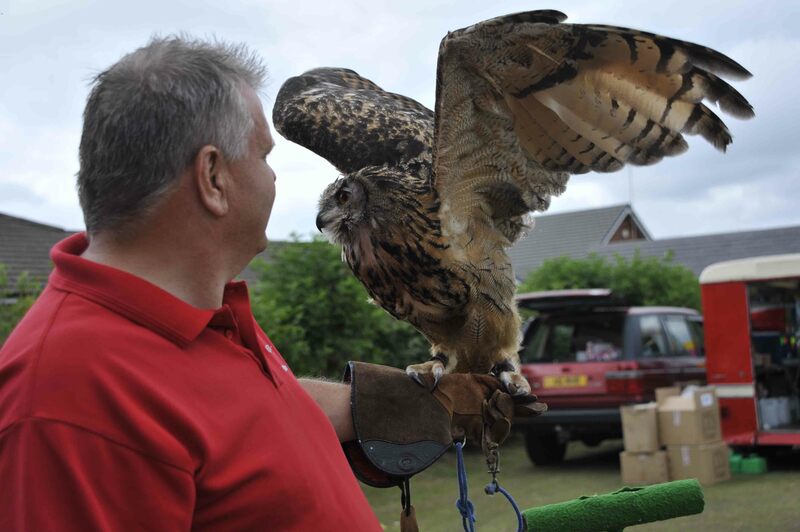 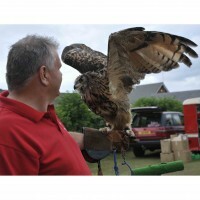 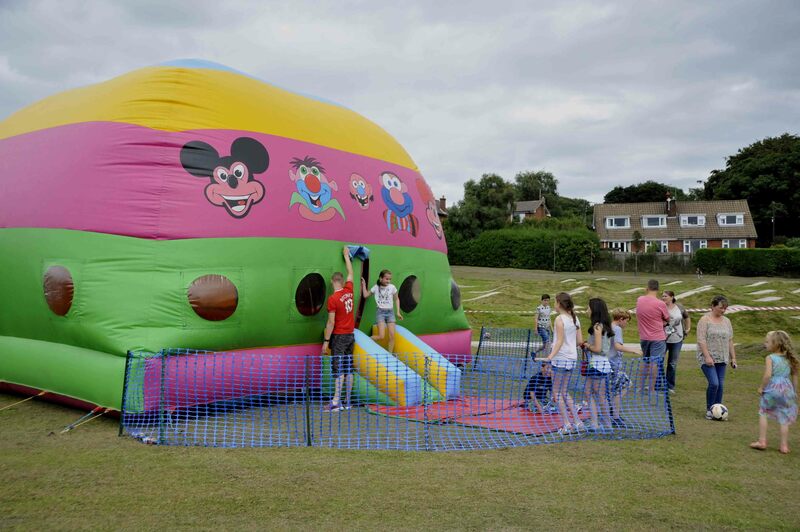 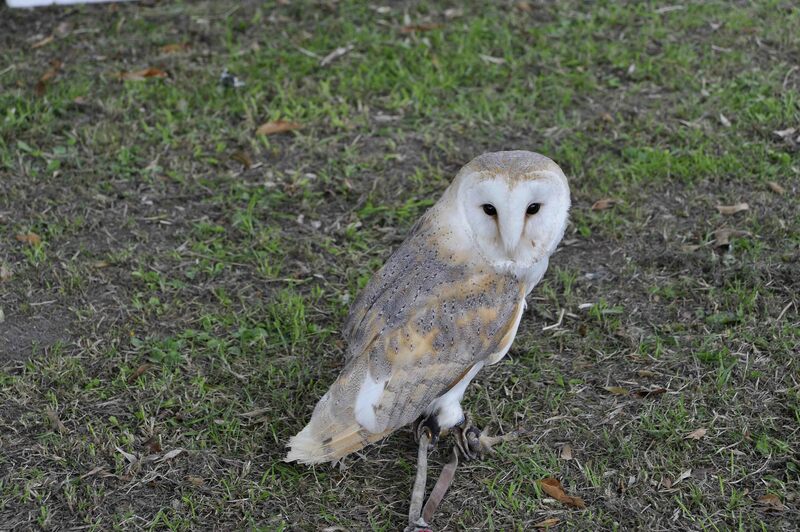 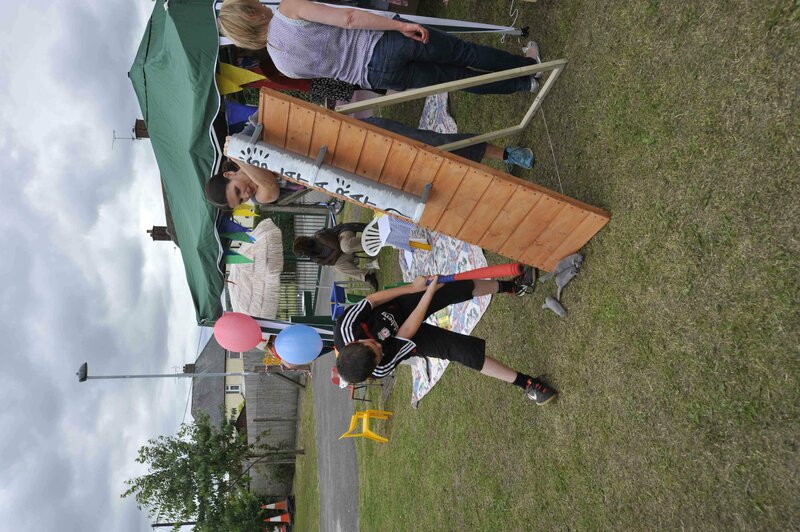 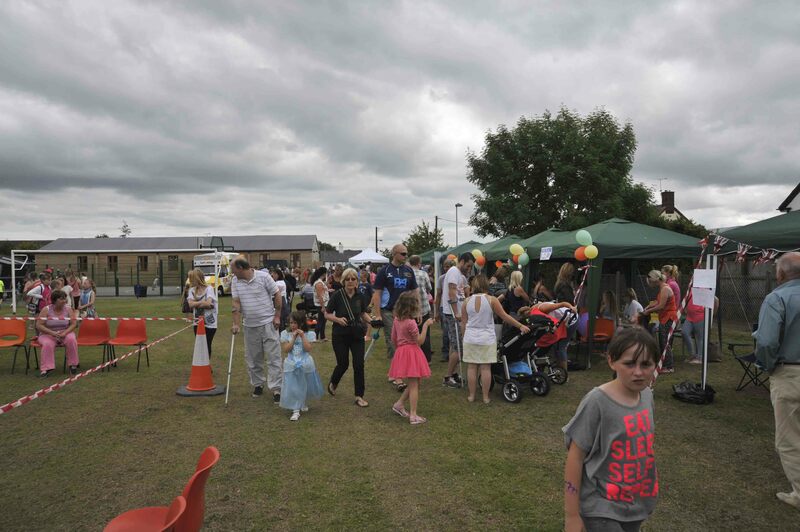 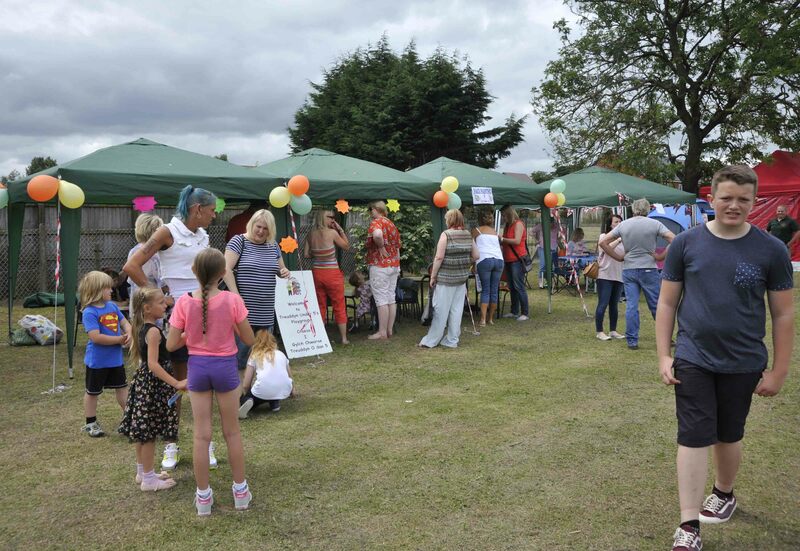 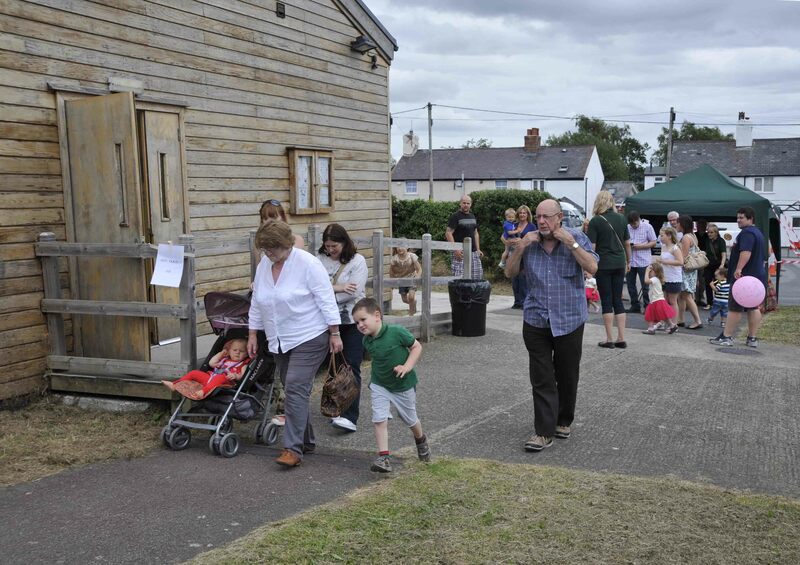 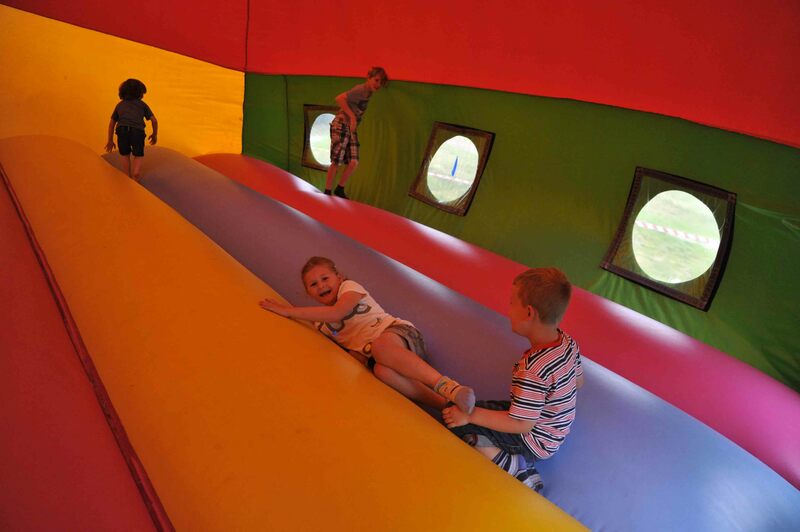 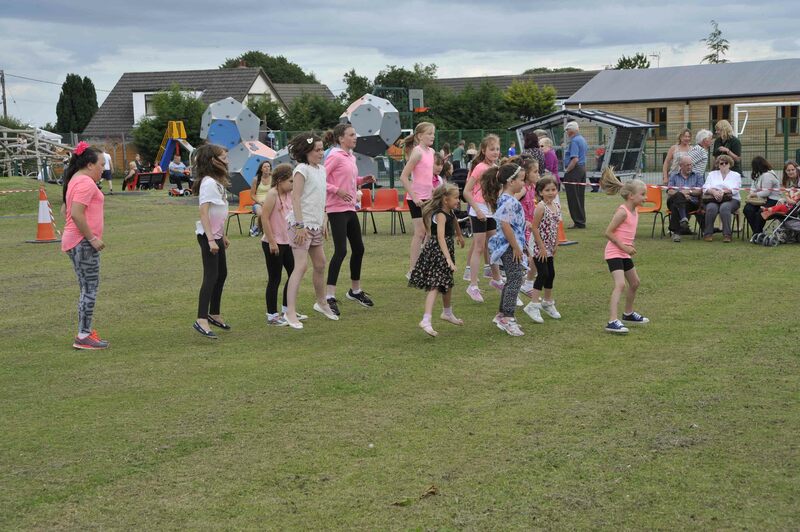 There was an excellent turn out for this year’s Treuddyn Family Fun Day and just to make everything perfect, the sun shone and the rain that was forecast kept well away. 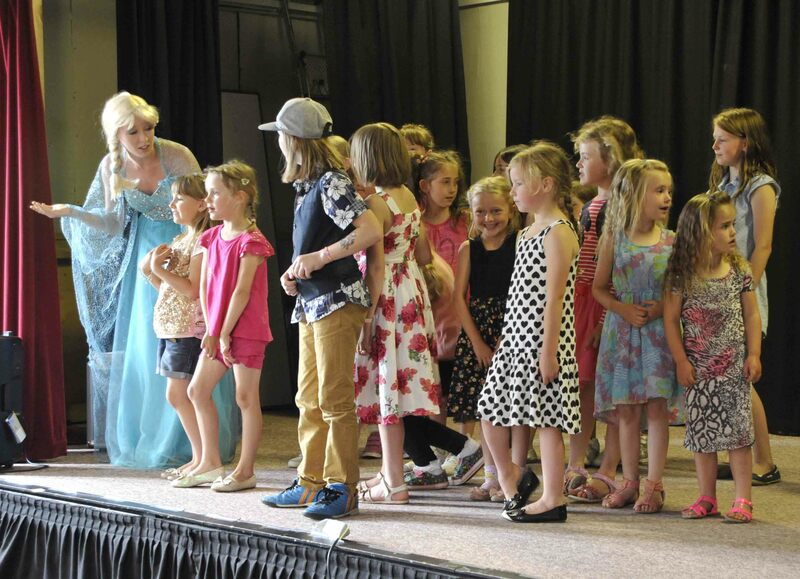 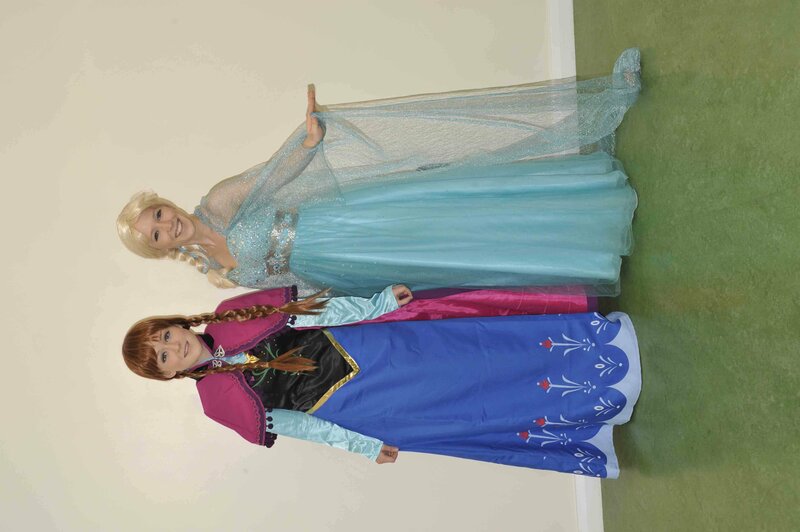 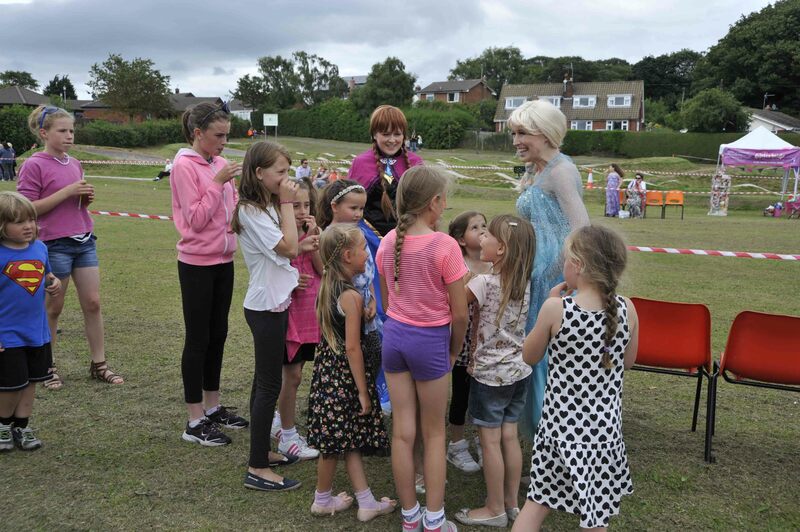 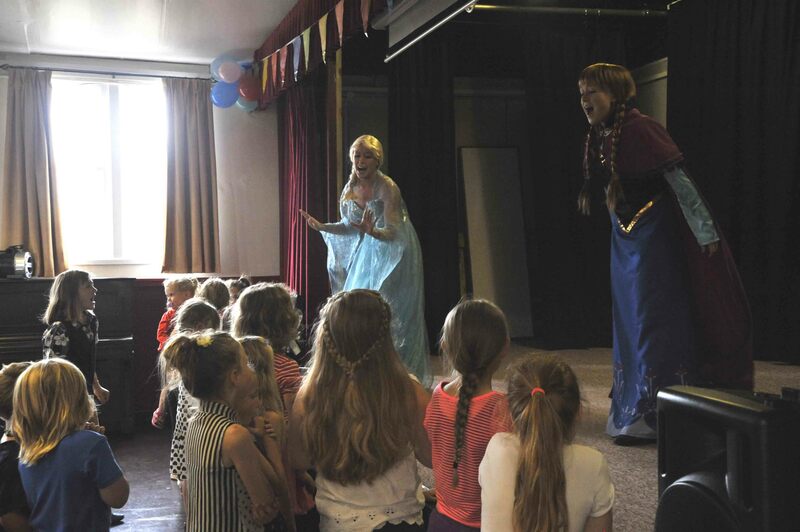 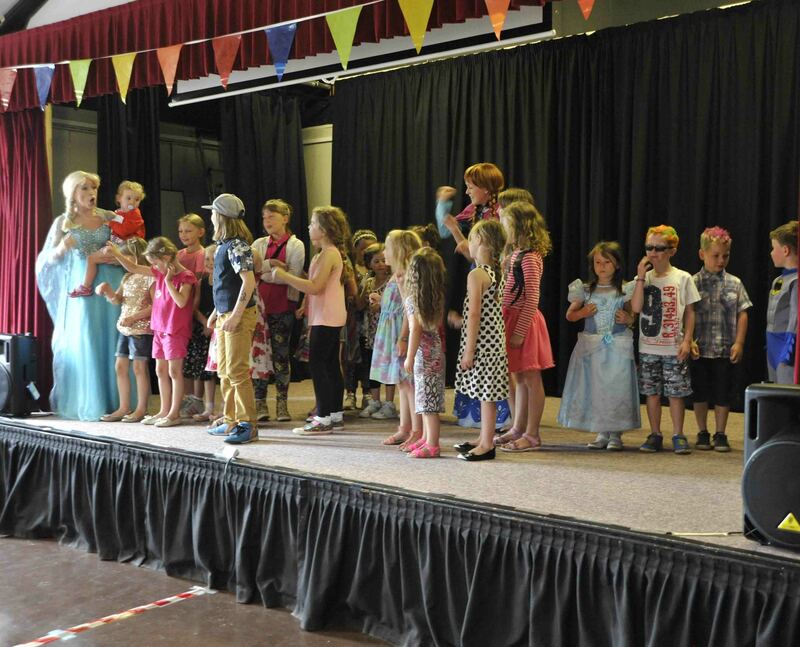 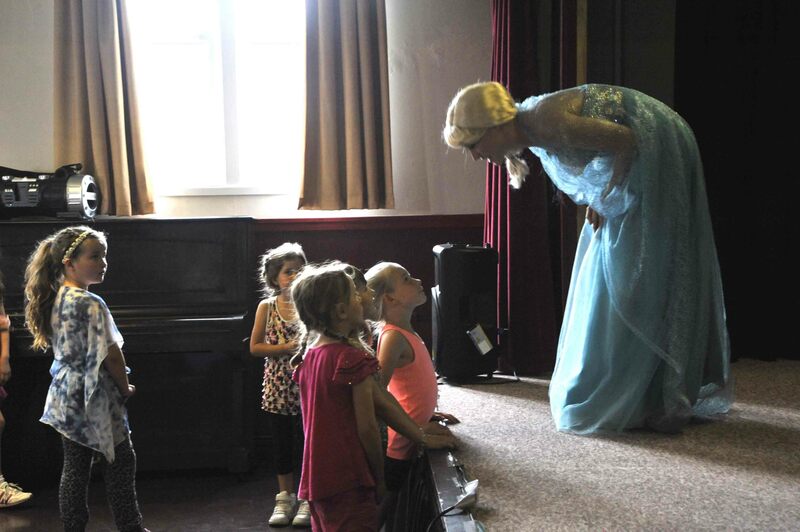 Elsa greeted the children in the hall (or was that Laura from street dancing and her sister?). 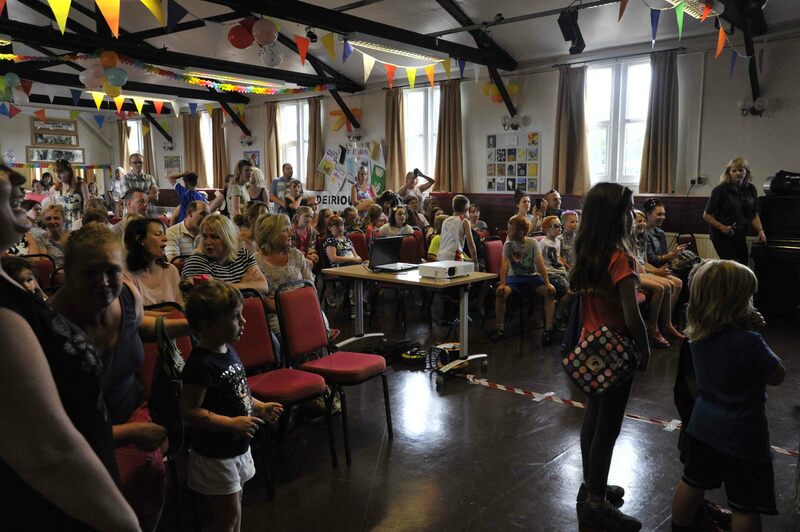 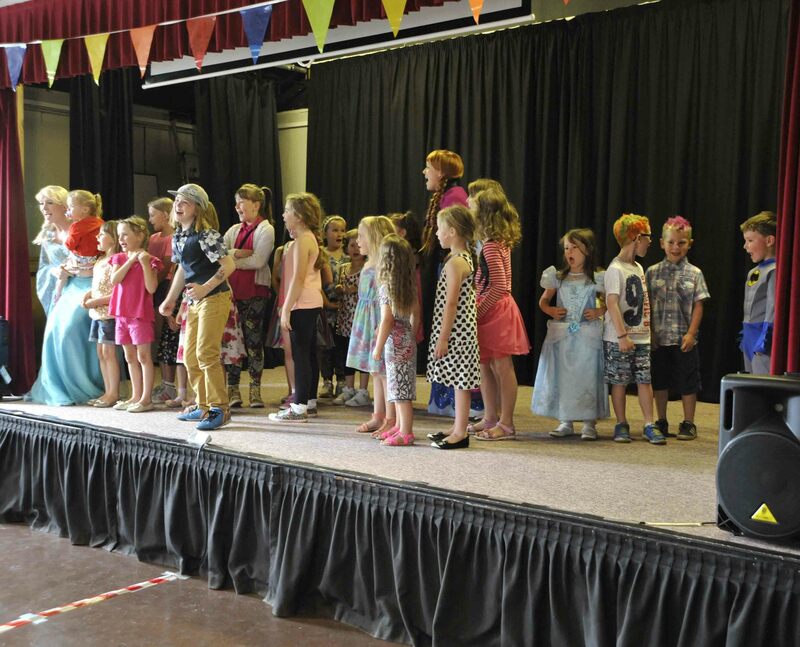 Children from Ysgol Terrig and Ysgol Parc y Llan entertained an enthusiastic audience. 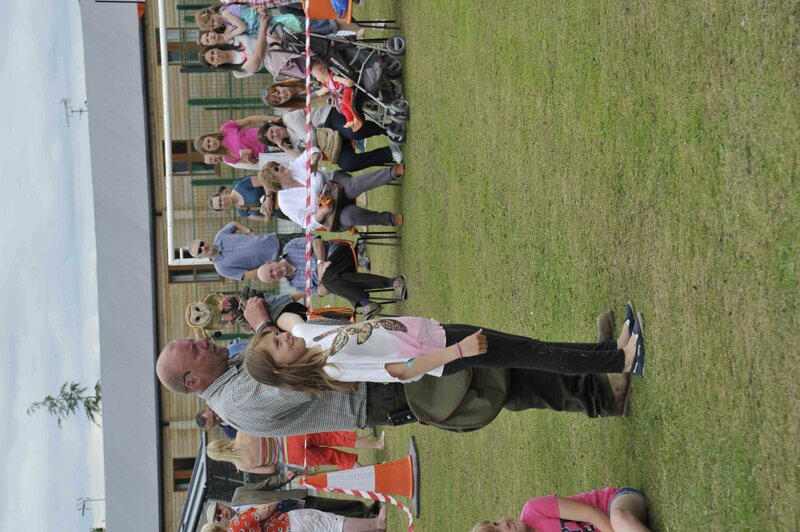 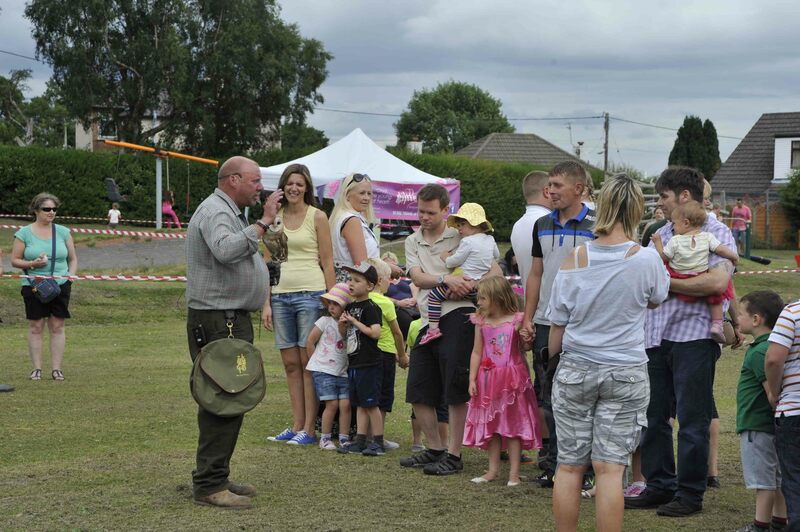 We were delighted that Mark Tami our MP was there (as usual), together with members of his family to join in the fun. 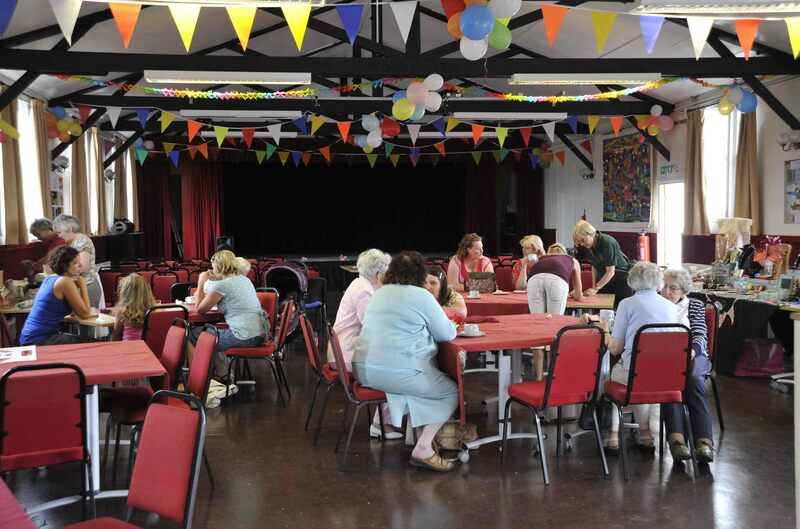 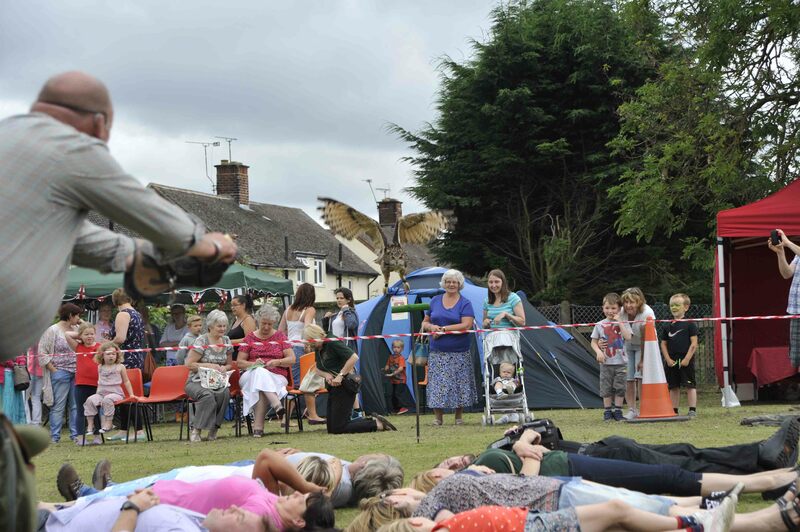 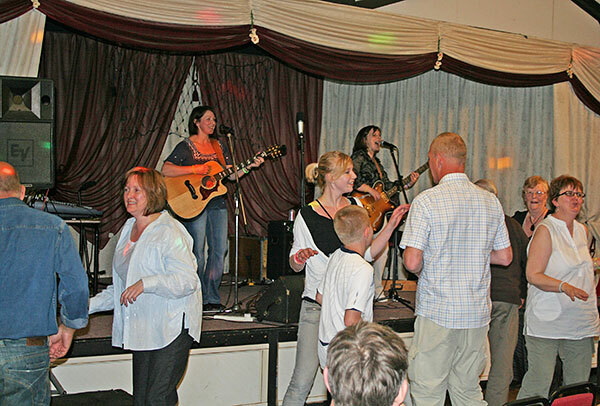 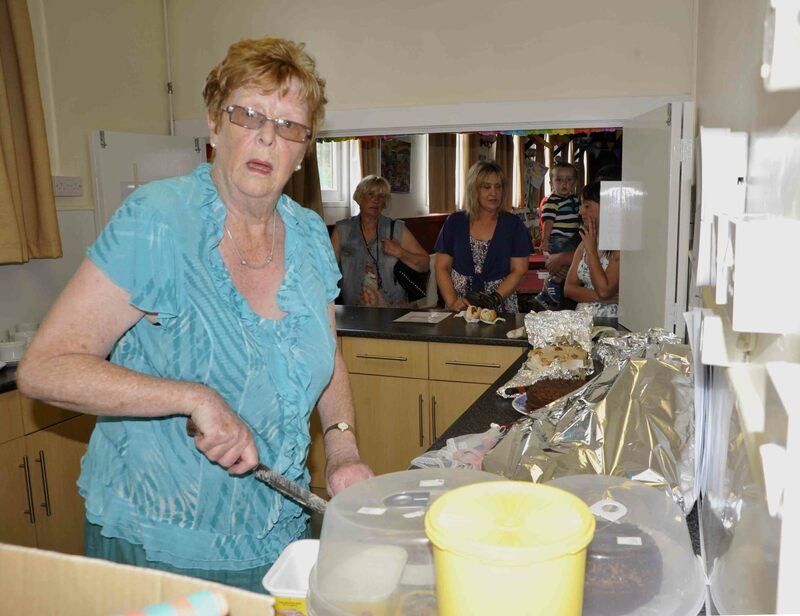 This year, refreshments were provided by Mair and the ladies to provide funds for the church. 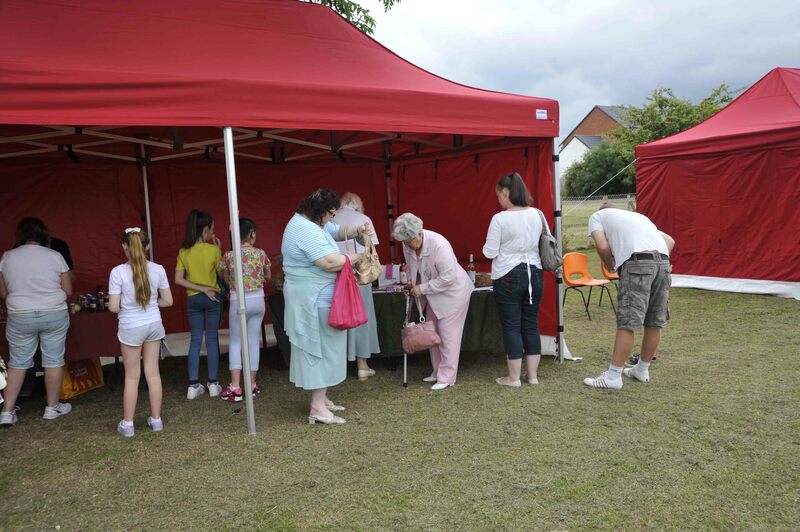 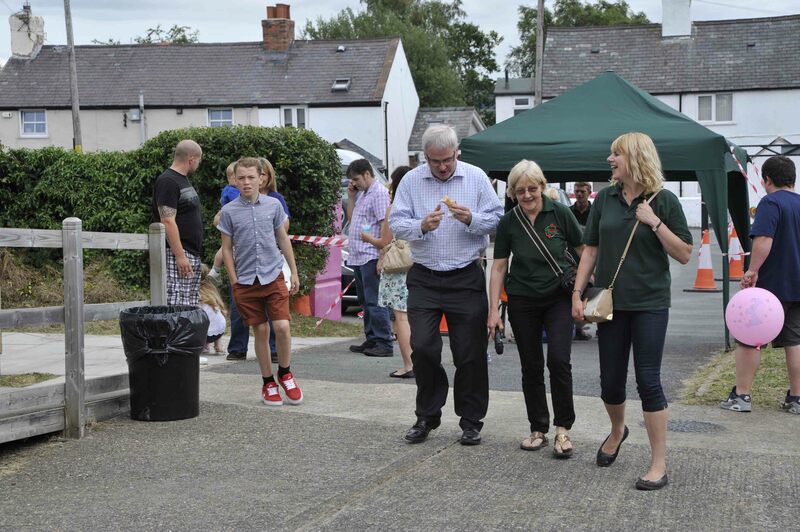 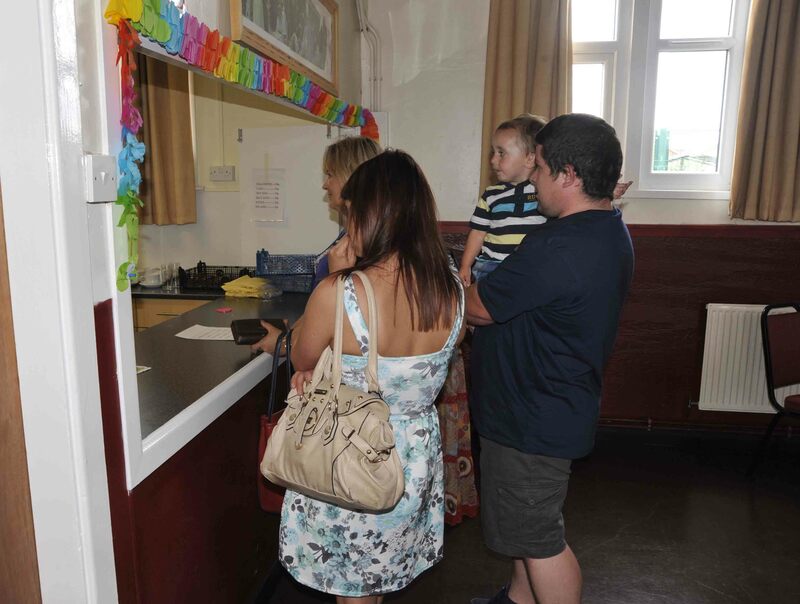 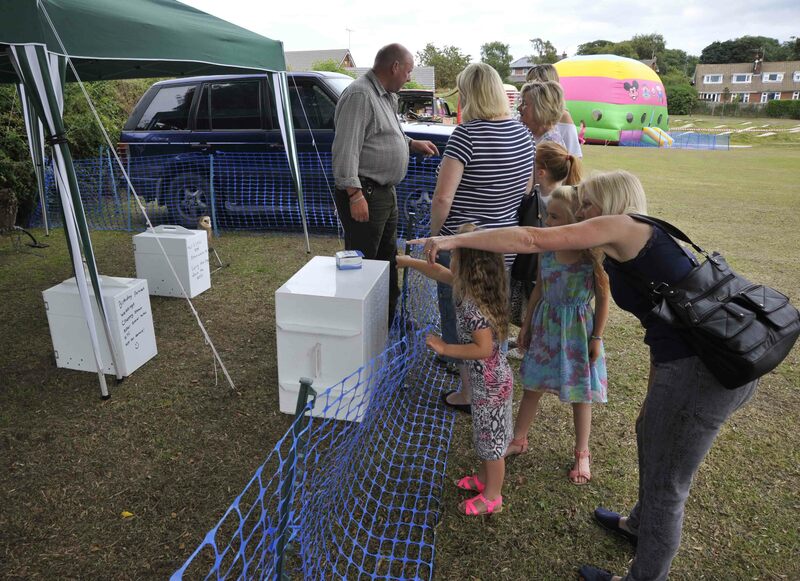 Their wonderful homemade cakes were as popular as ever and the demand for hotdogs was high! 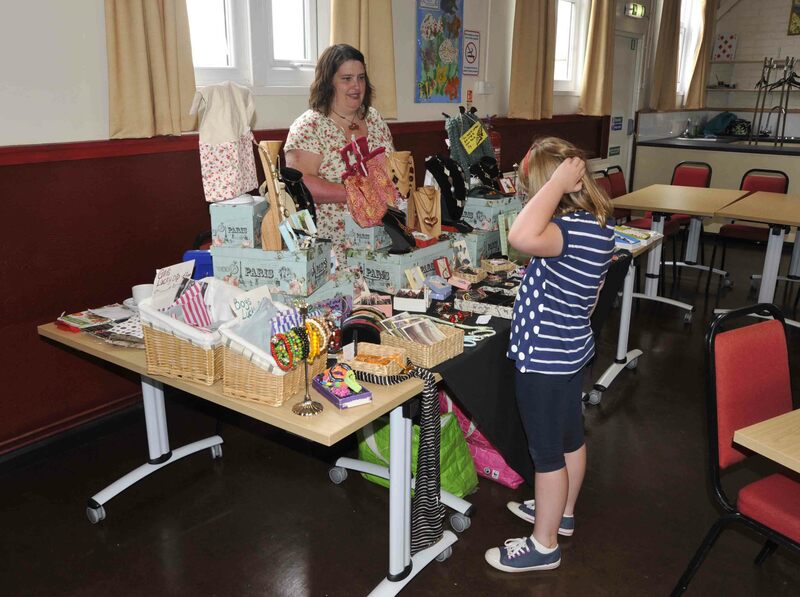 Melissa had a stall showing her considerable craft skills and selling cards, jewelry and much more. 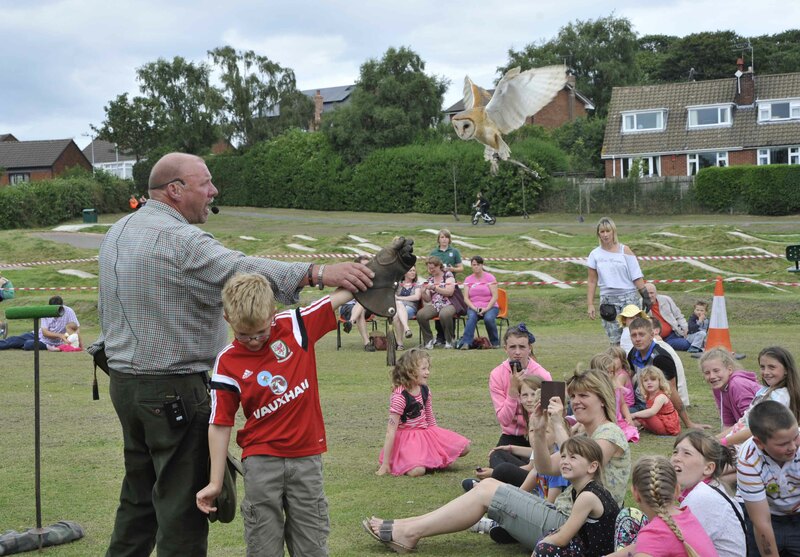 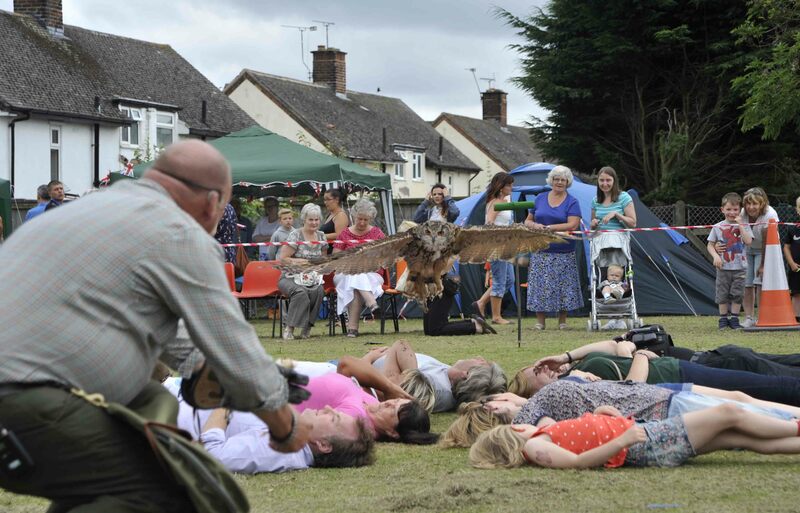 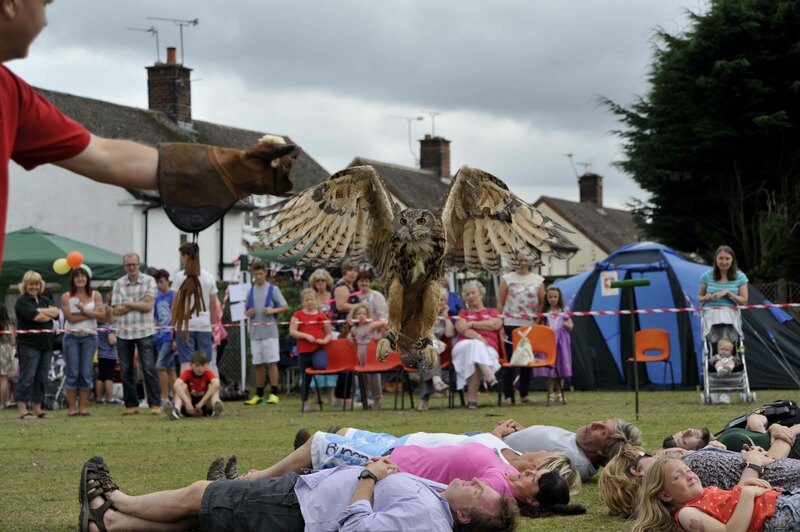 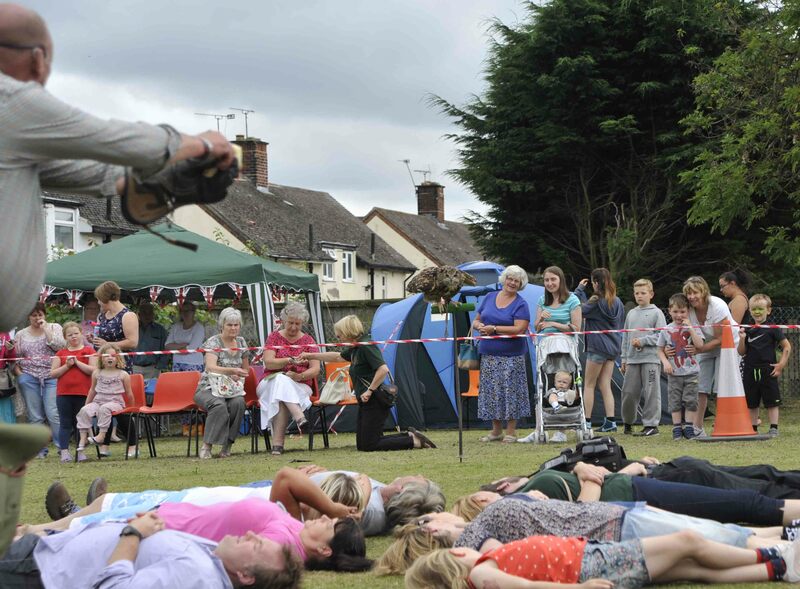 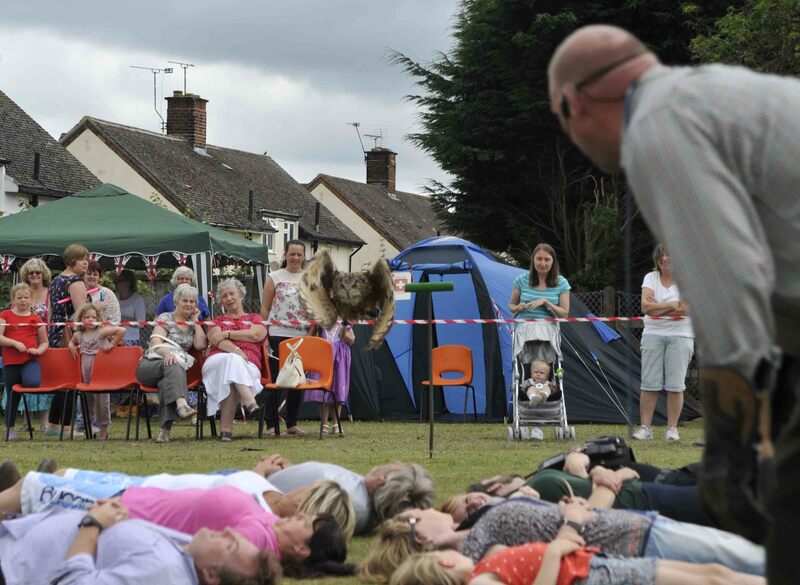 On the field Pen y Bryn falconry put on a fantastic display that had everyone holding their breath as the birds swept over the participants who had been asked to lay on the grass. 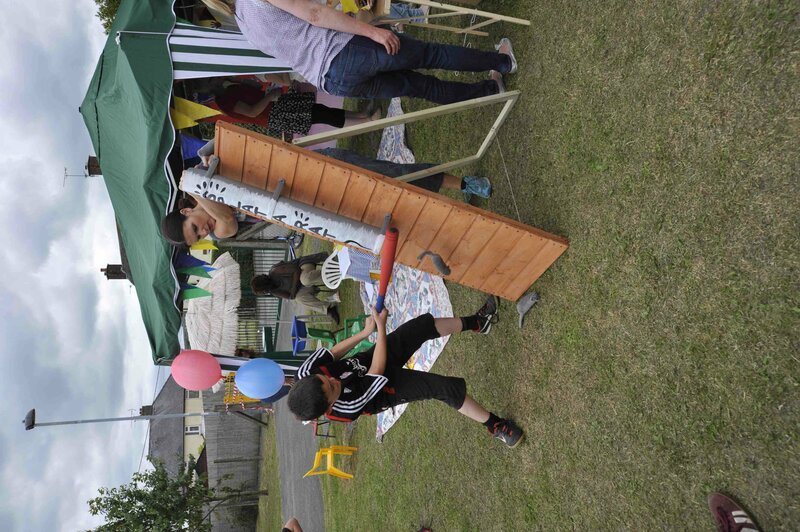 There were numberous stalls and challenges. 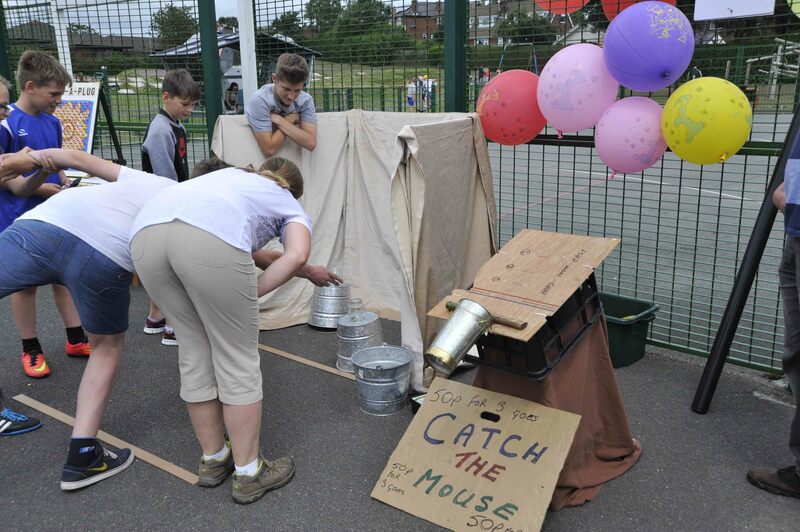 ‘Catch the rat or mouse’ seemed impossible but were popular with adults and children testing their reflexes. 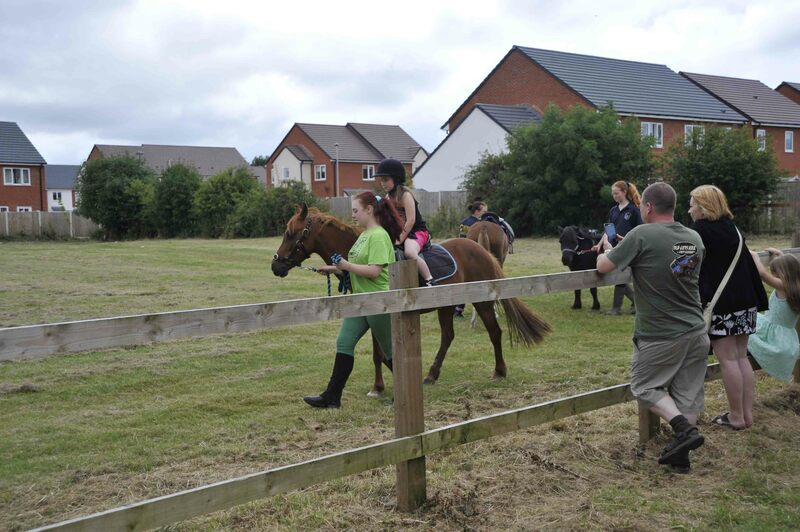 Cai Hic Stables put on pony rides and soon had a queue to have a turn. 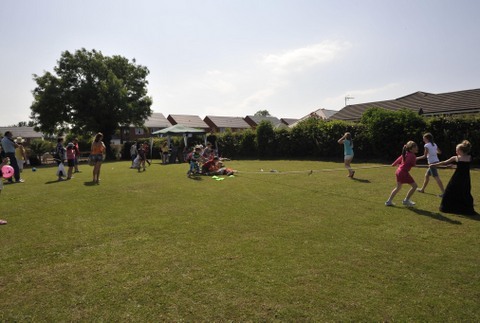 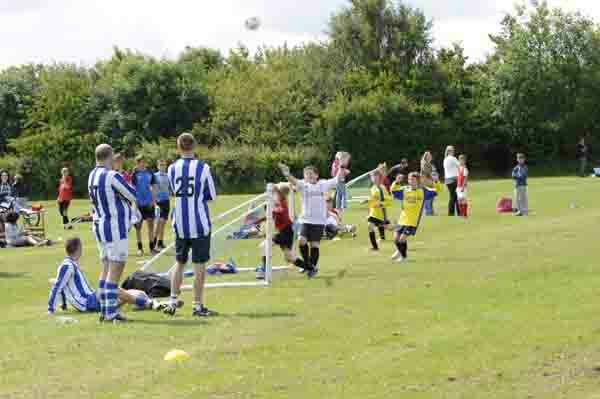 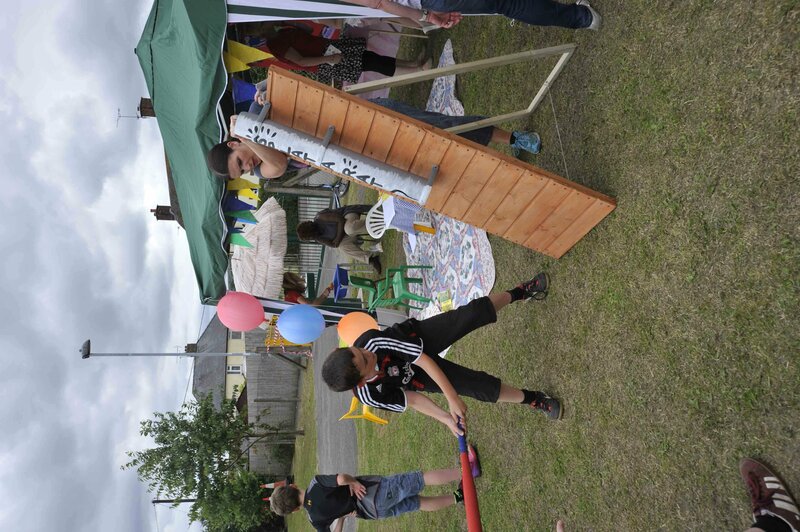 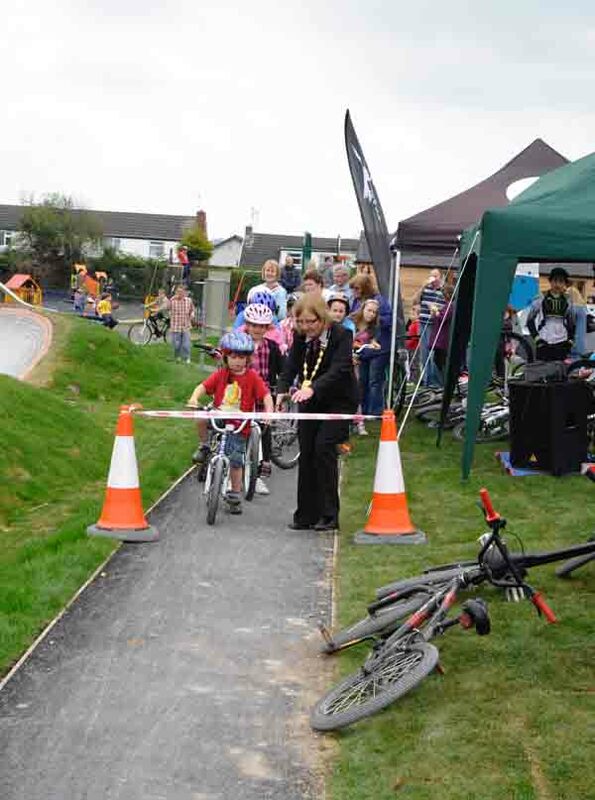 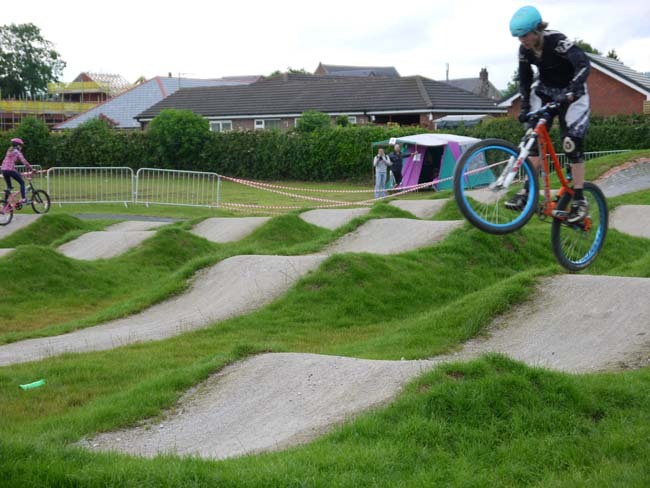 Students from Ysgol Terrig put on an excellent sports event for the younger children. 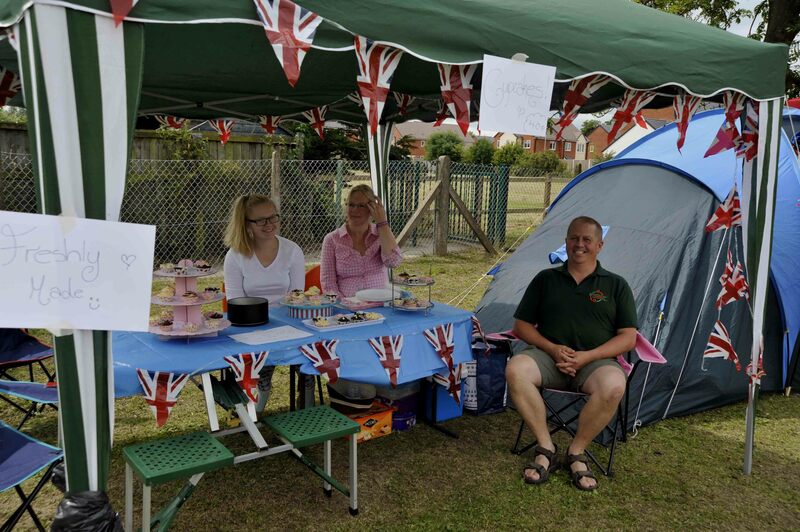 We are grateful to the students for their support. 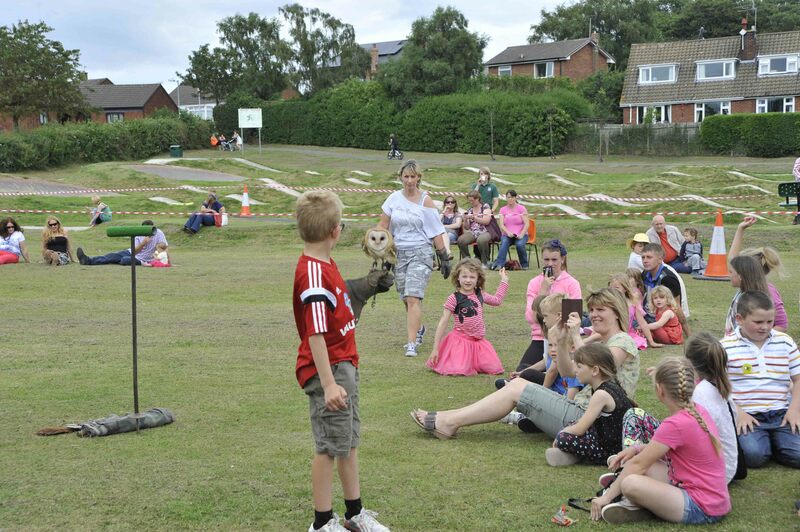 A fantastic day to be remembered.